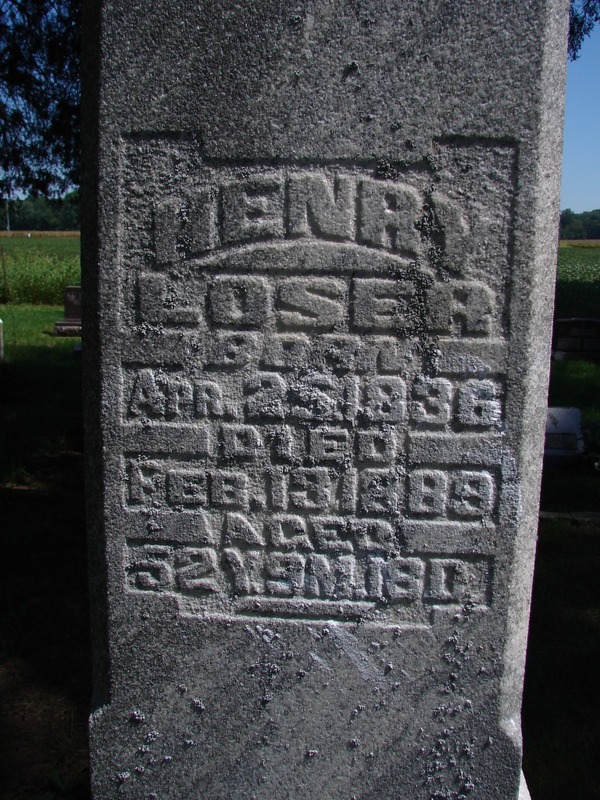 Is in Northern Tipton Township , in eastern Cass County , Indiana . 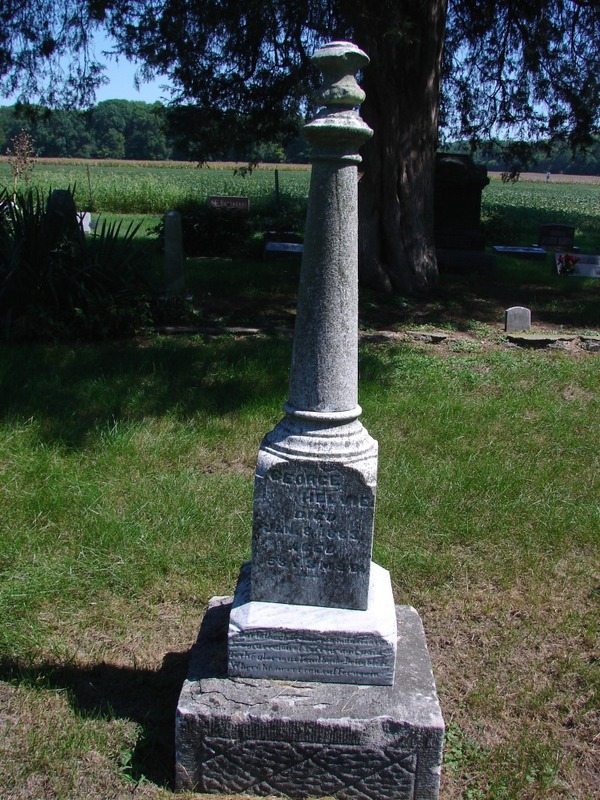 It is situated in the Churchyard of the Congregationalist-Christian [formerly called “New Light Christian”] Church of this name, near west edge of lot Seven of Miami Indian Chief J.B. Richardville’s Number Three Reserve; and about one-half mile south of the Lewisburg Bridge over Wabash River (about Three miles down said Wabash River from the Miami County Line). 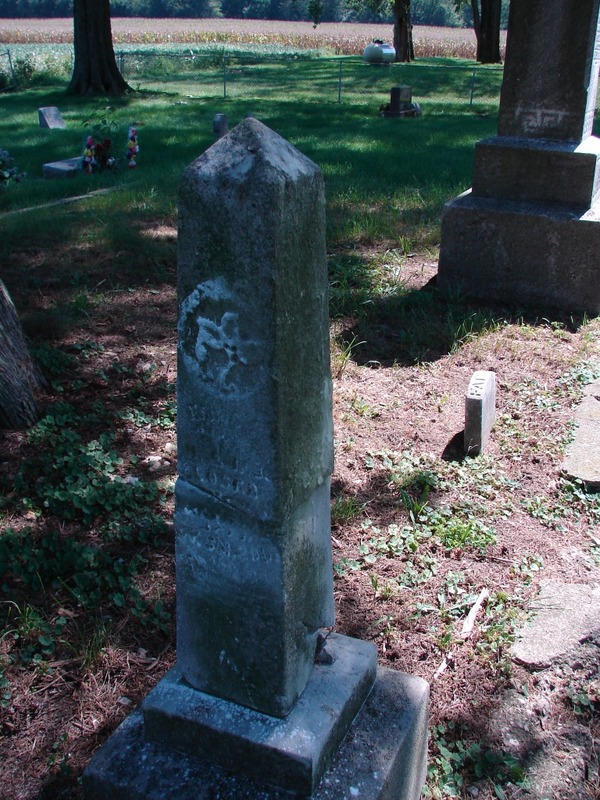 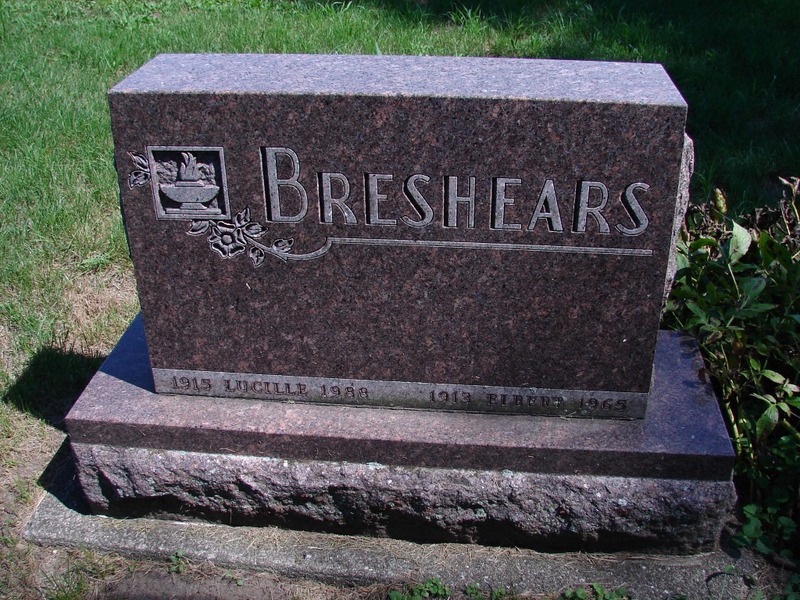 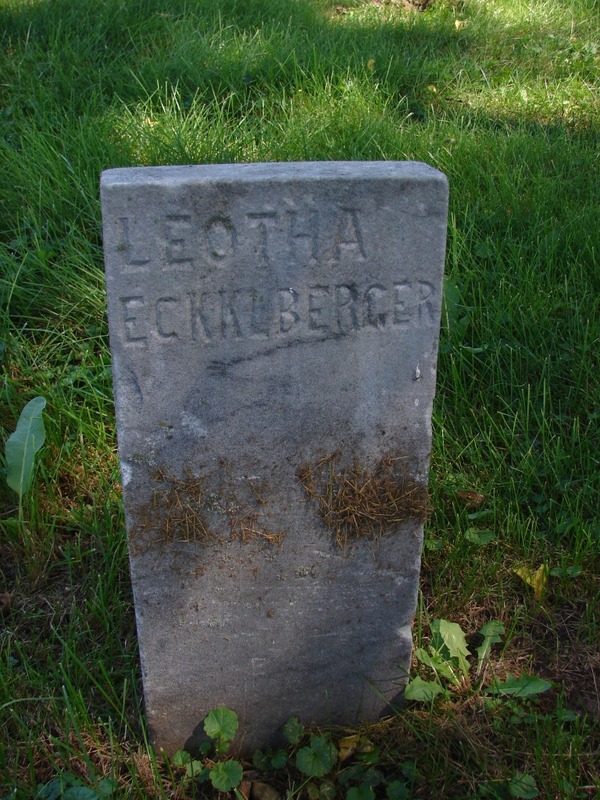 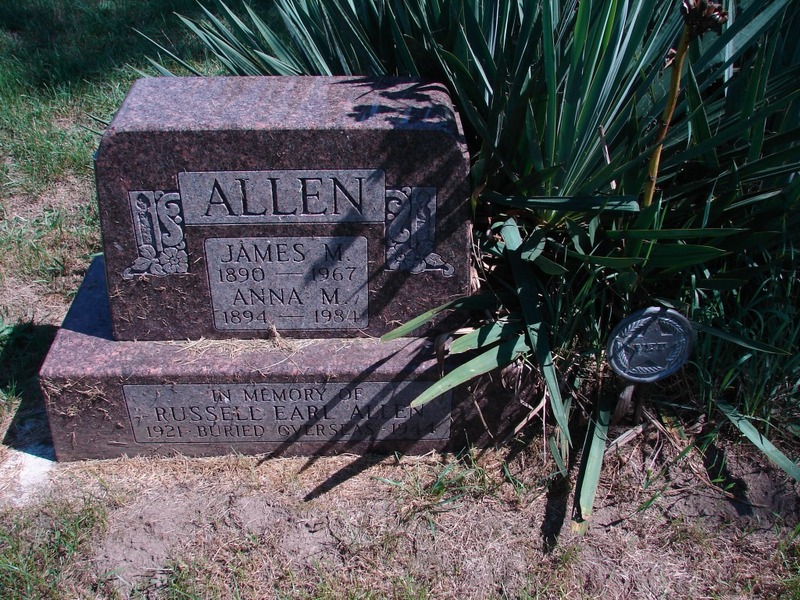 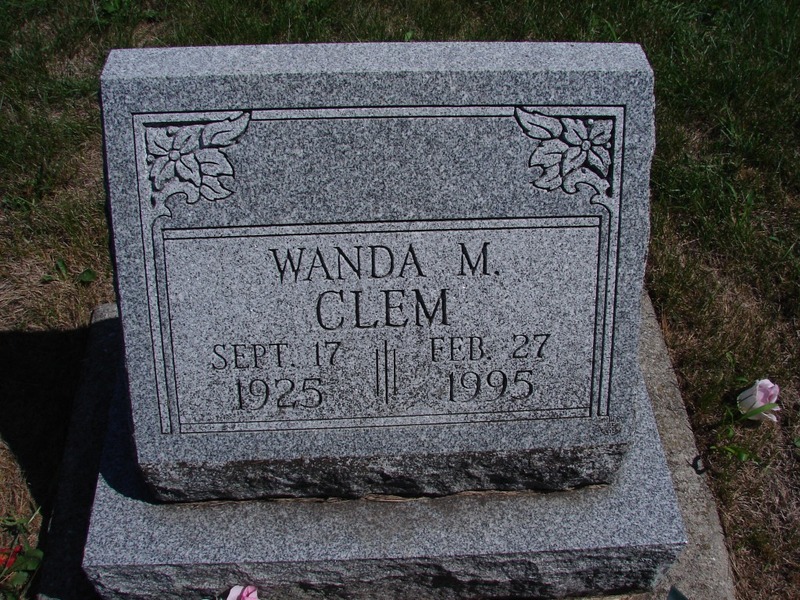 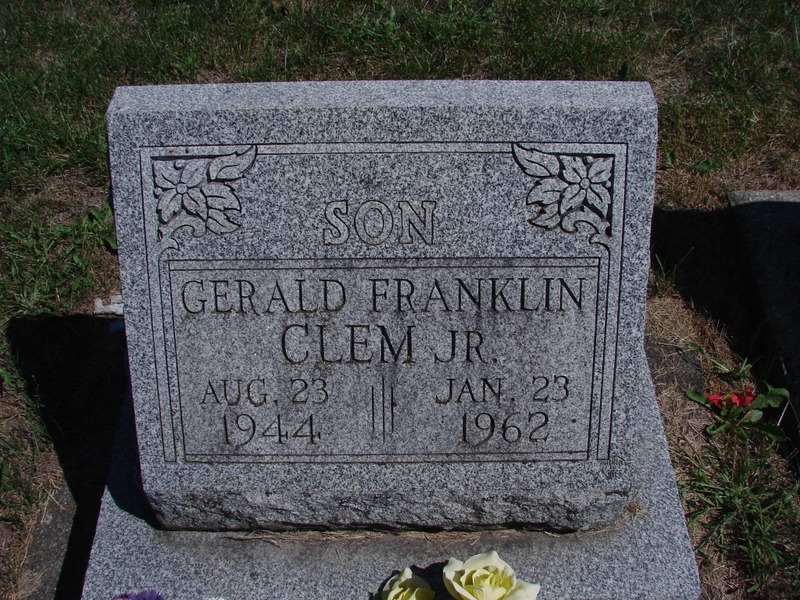 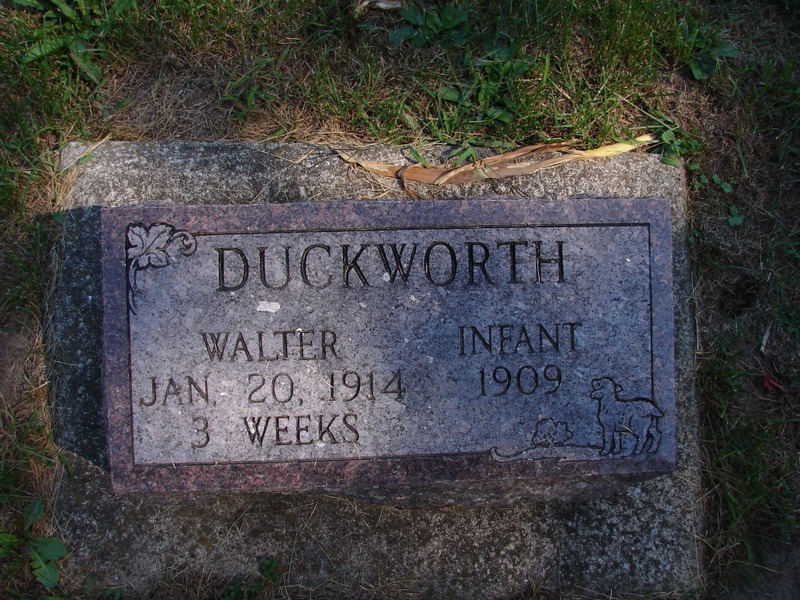 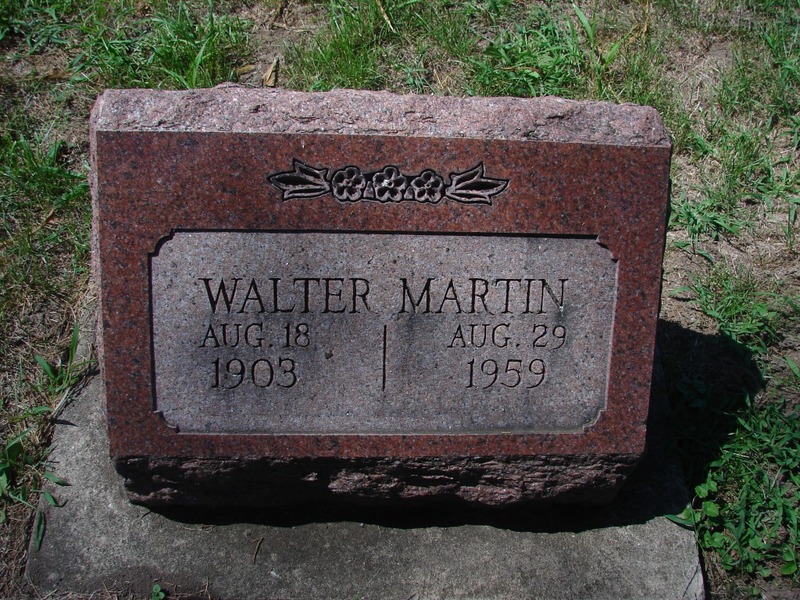 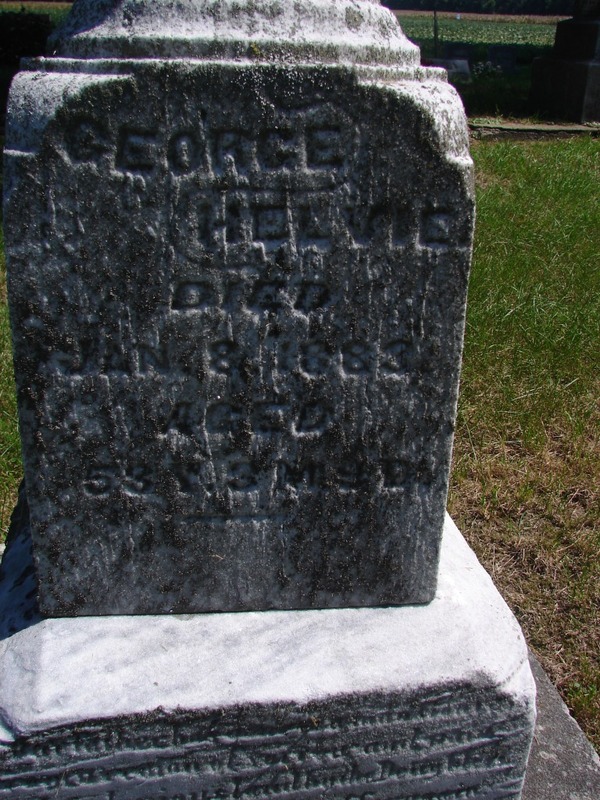 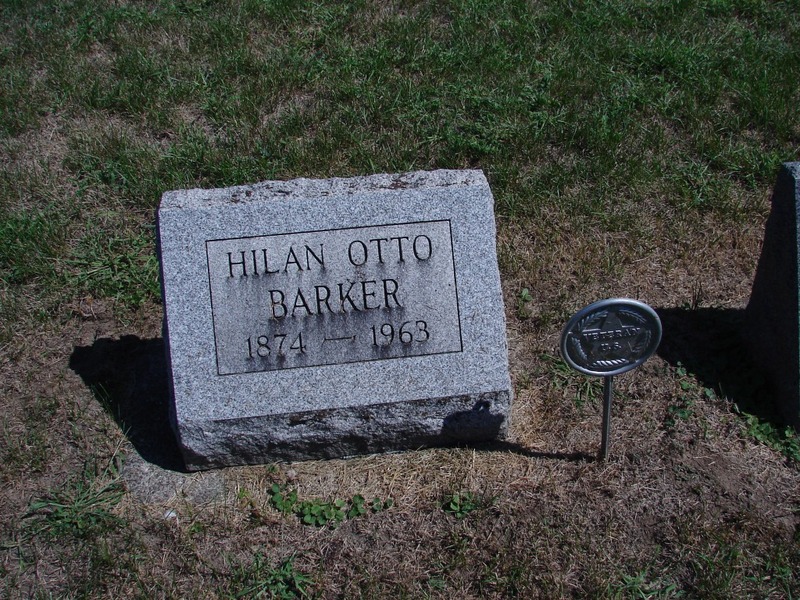 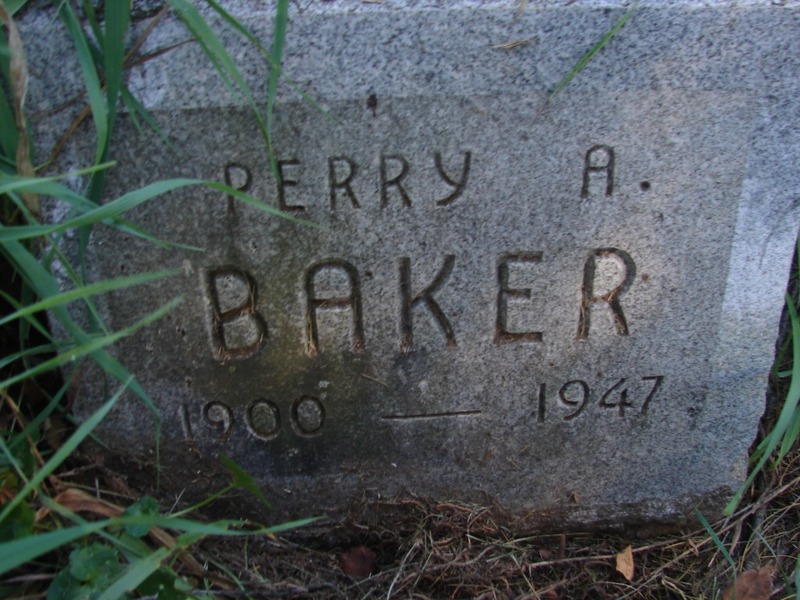 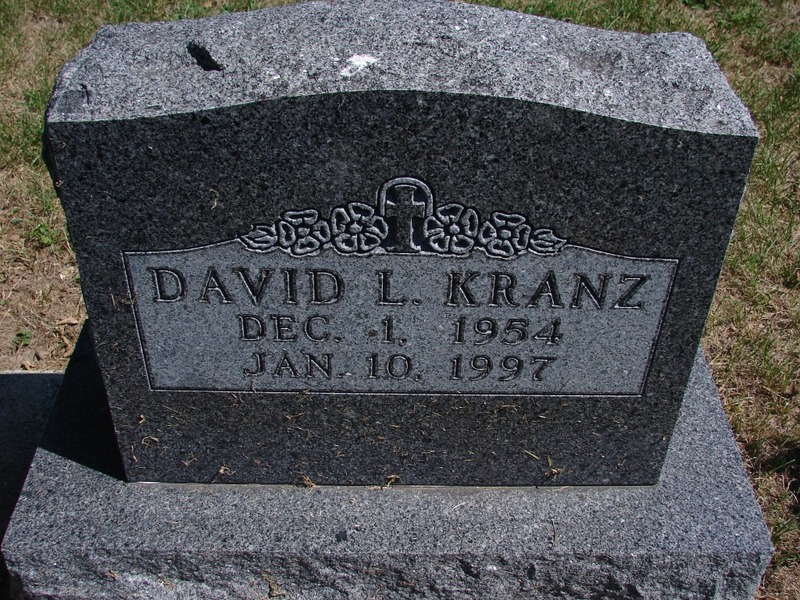 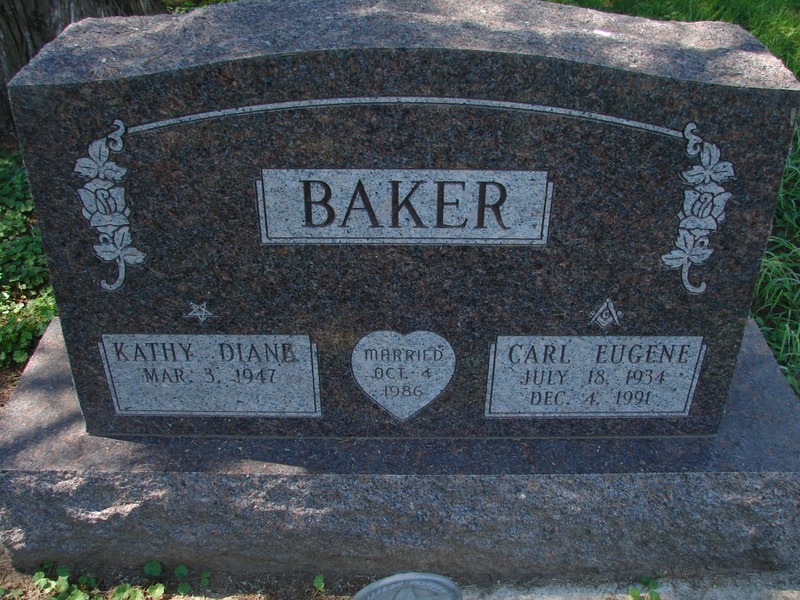 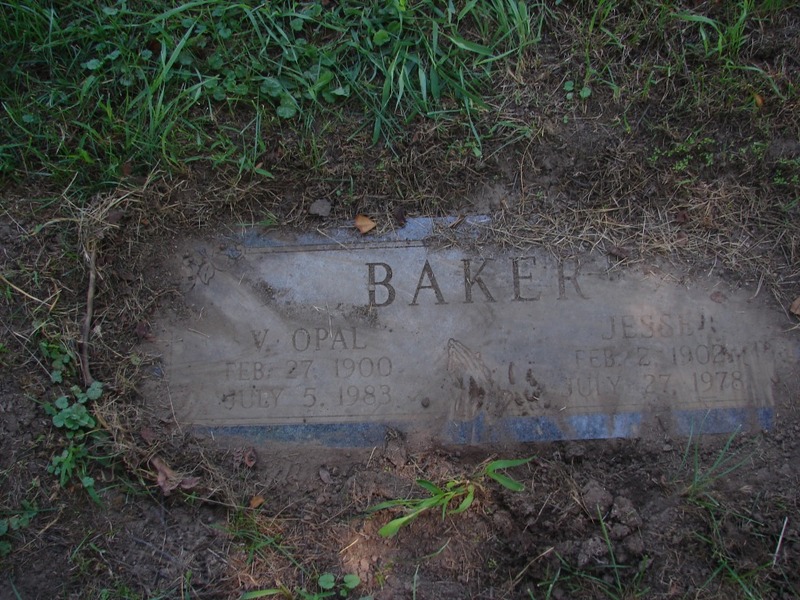 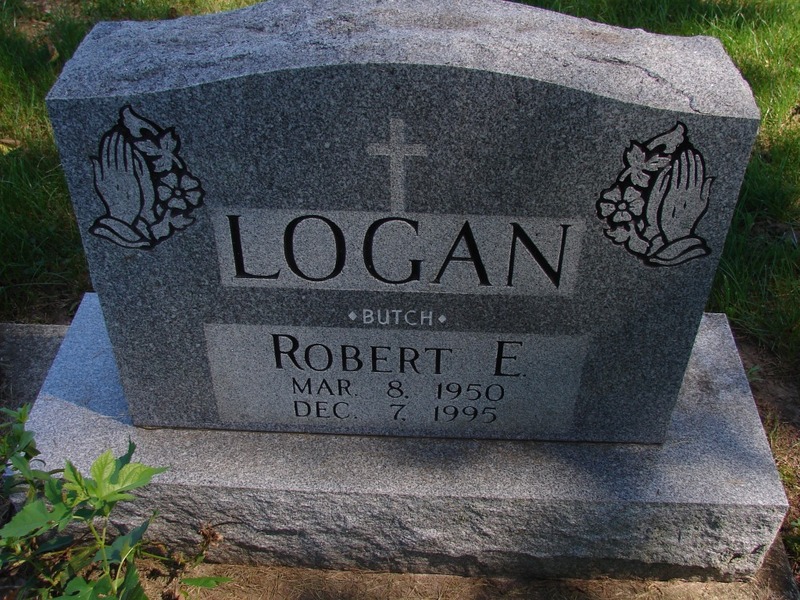 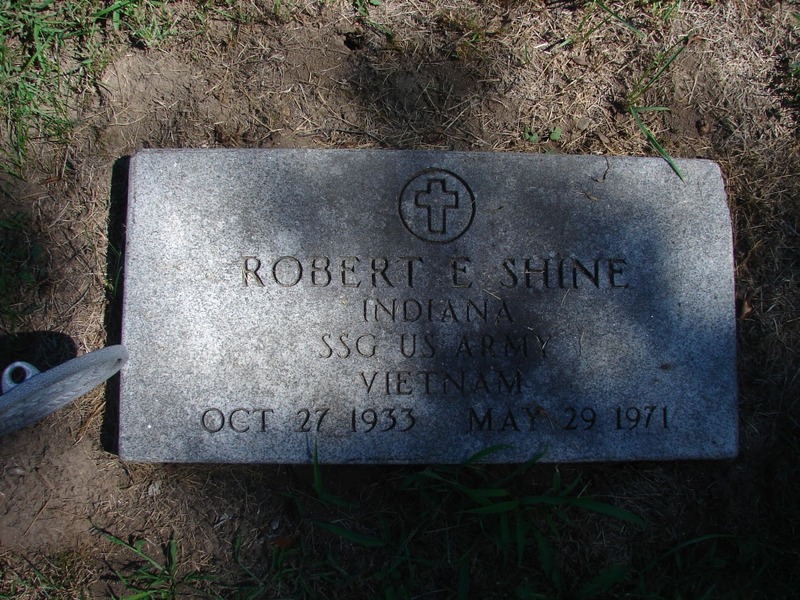 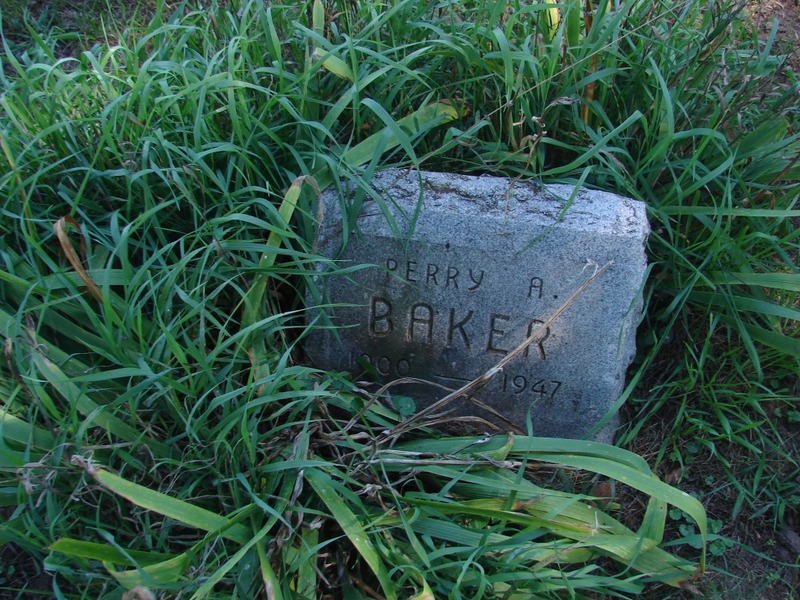 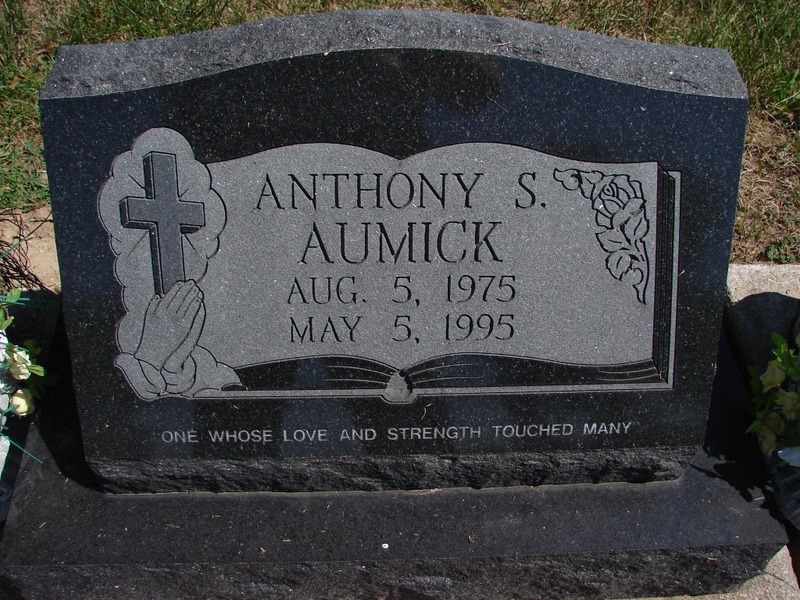 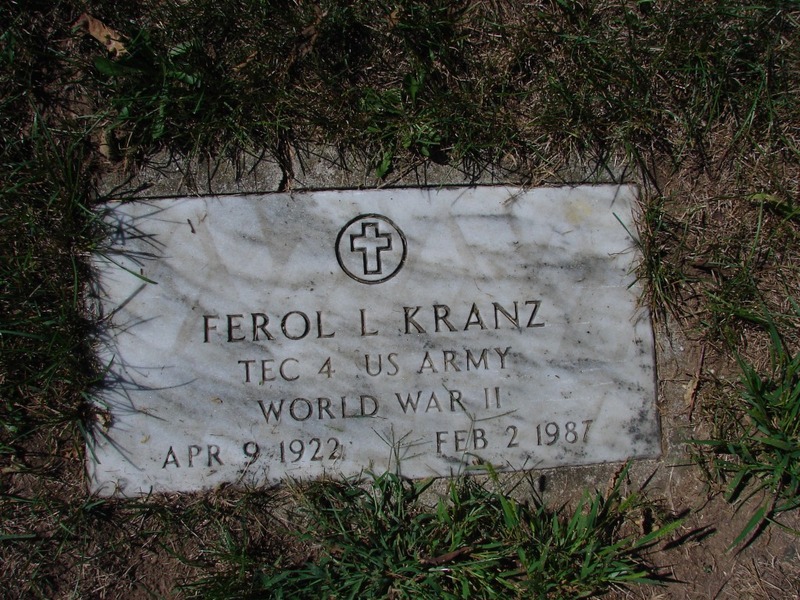 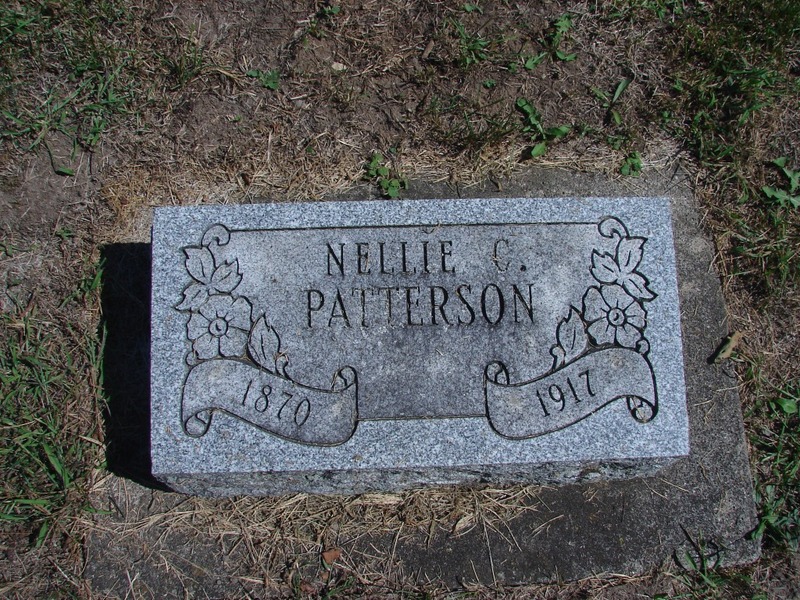 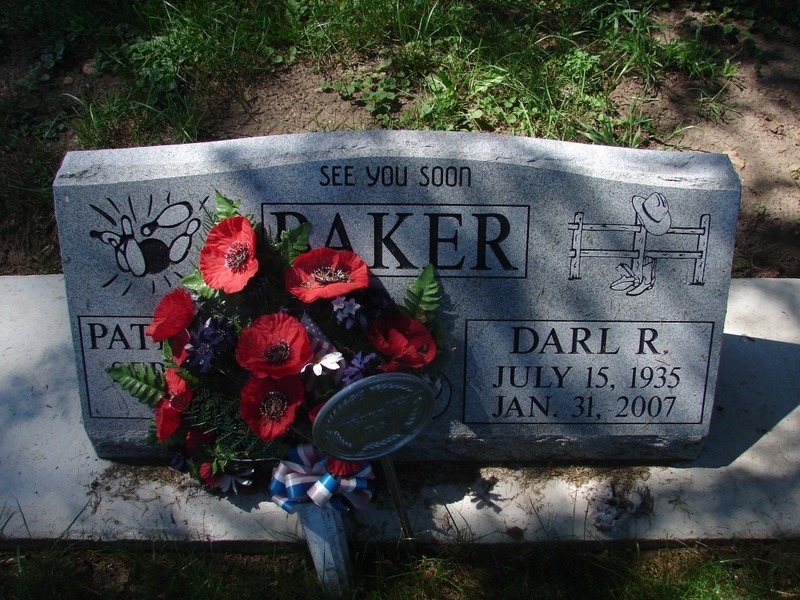 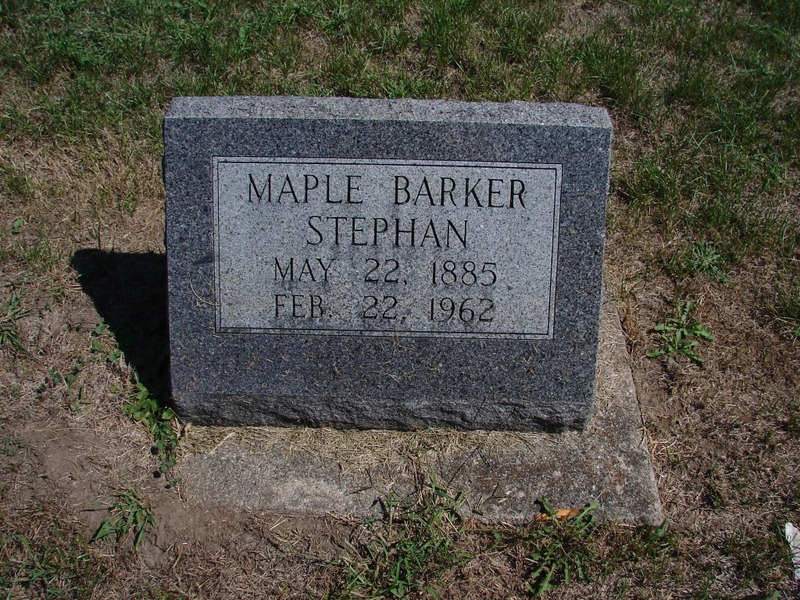 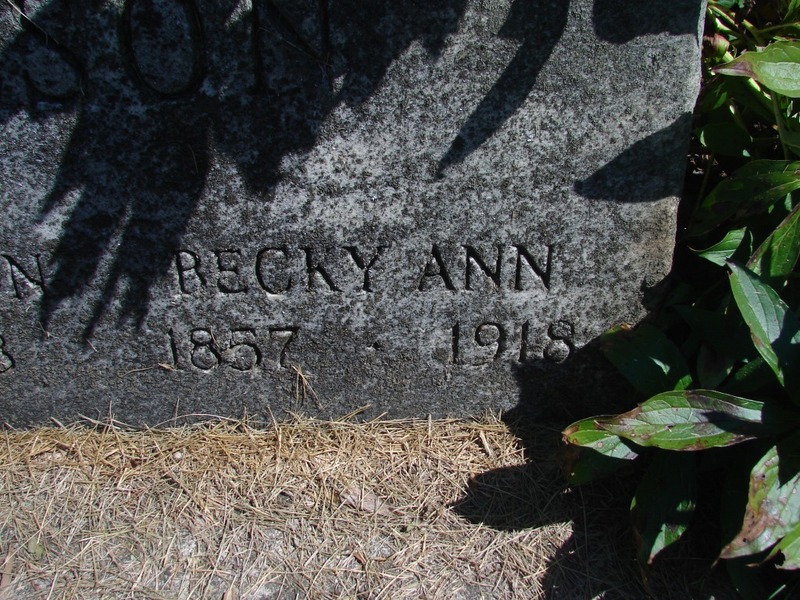 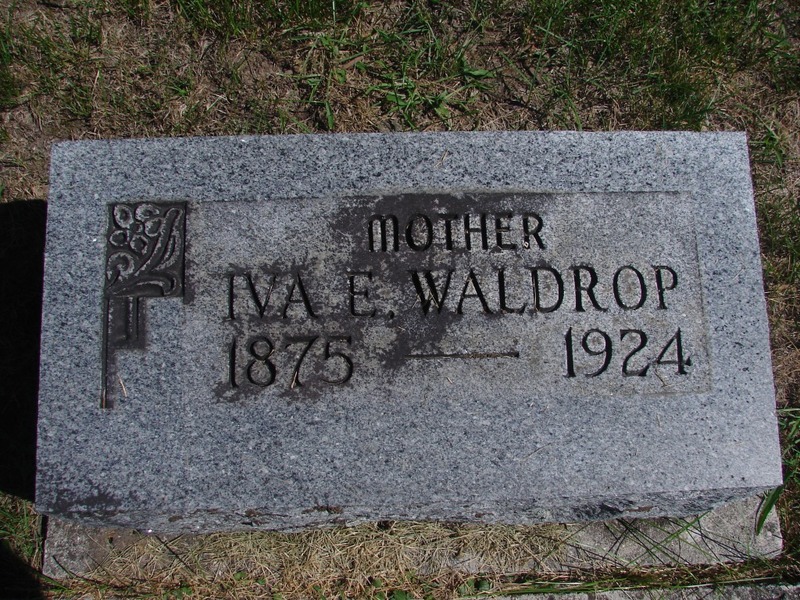 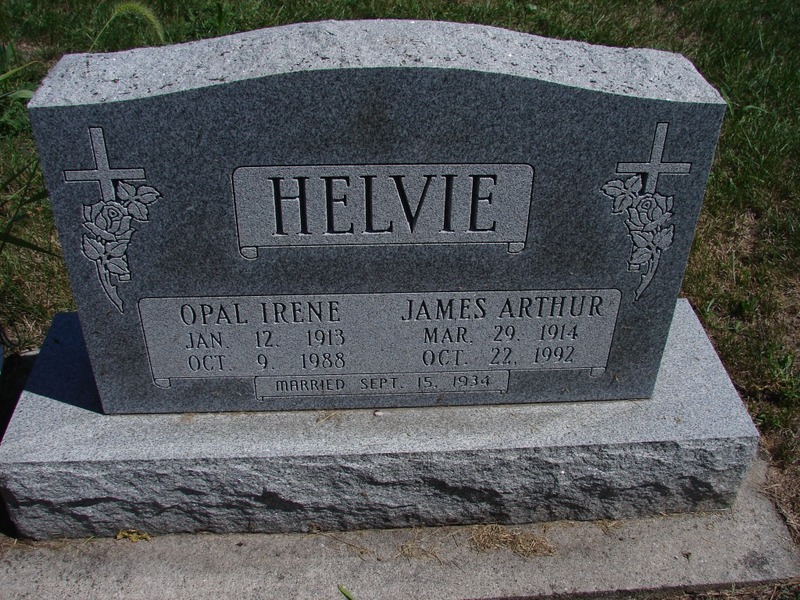 Cemetery and Church are North of an Eastwardly running road, and West of a Northerly running road, and is about a quarter of a mile east of Pipe Creek (stream) and half a mile south of that stream’s confluence with Wabash River. 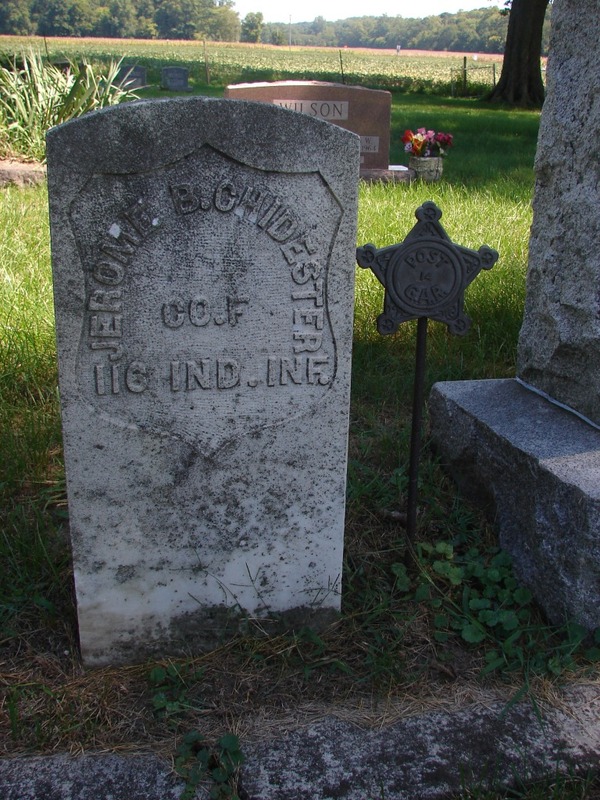 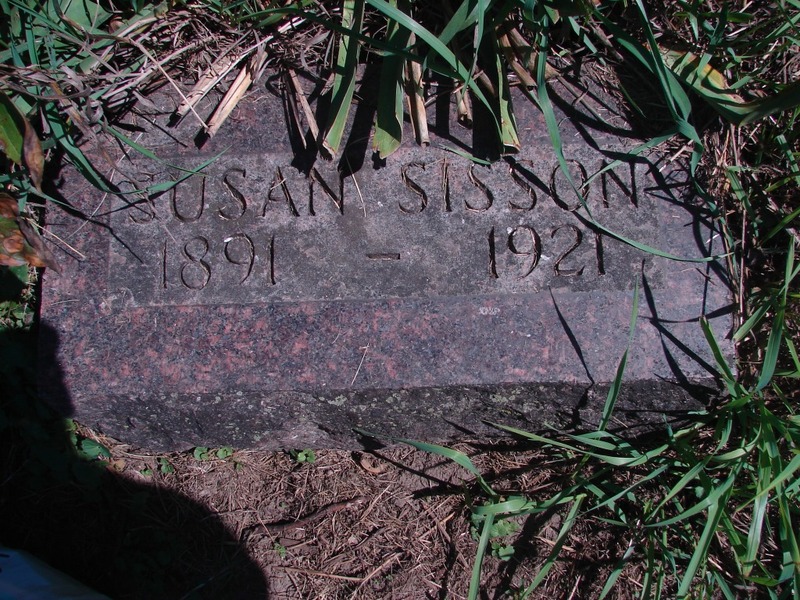 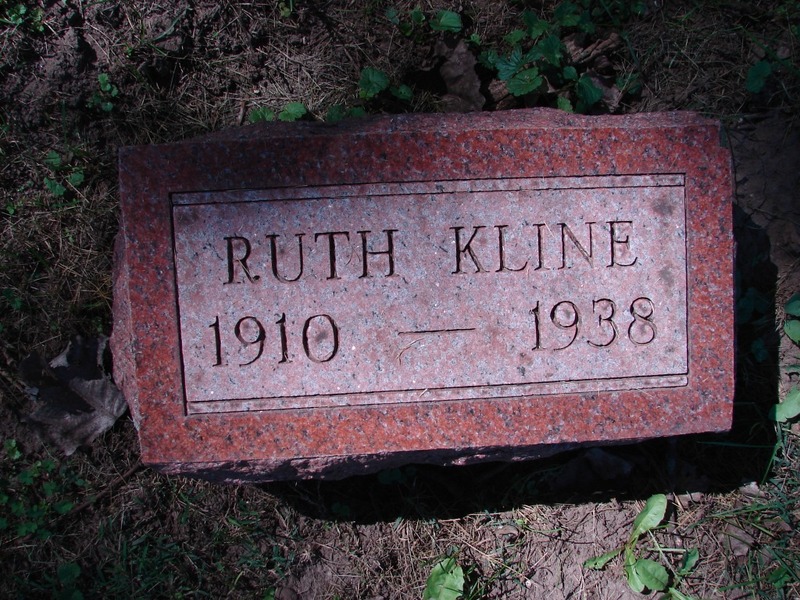 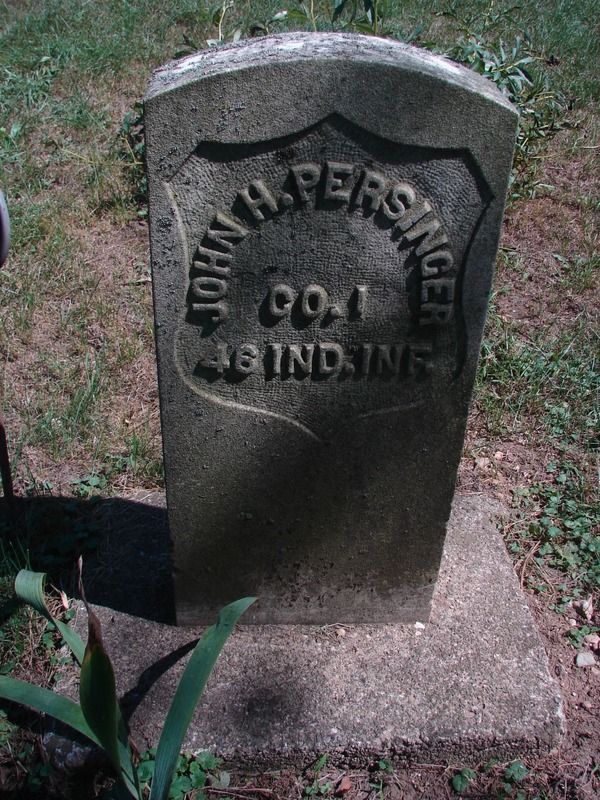 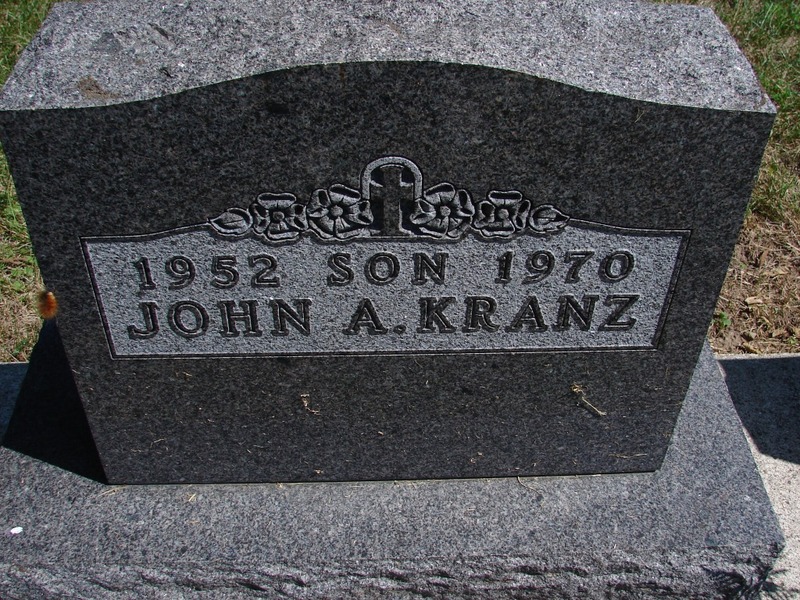 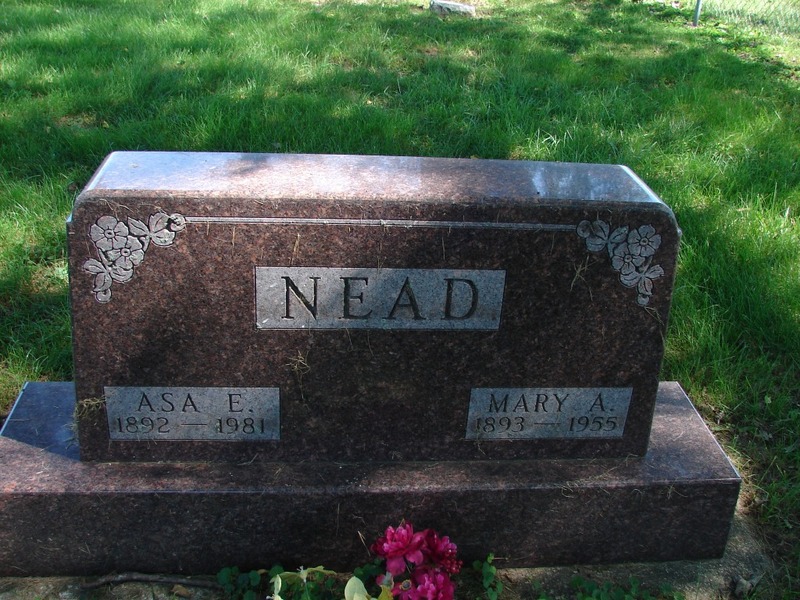 If the Indian Reserve Land had been divided into ordinary Congressional township sections, it might be said that this Cemetery is near west edge (and southwest corner) of section 32, T.27 N., R3E., 2 Ind. 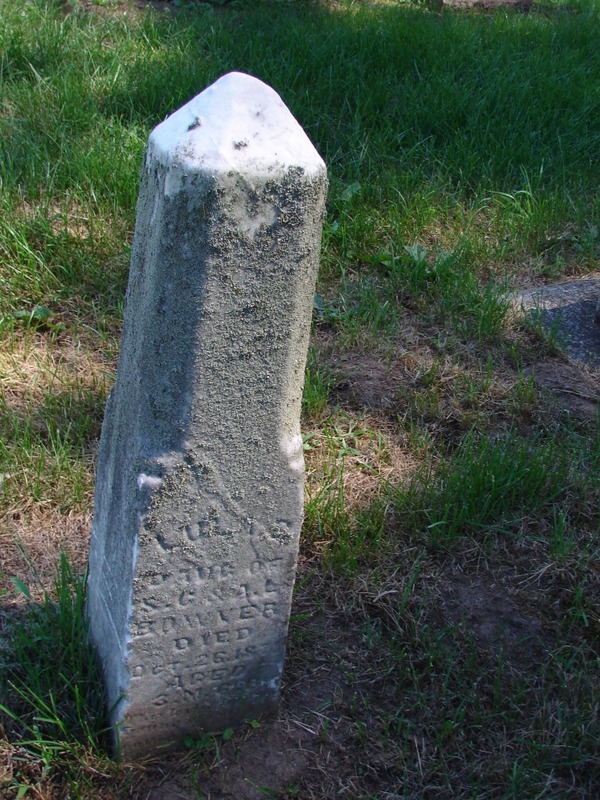 p.m. a section through which Wabash River passes. 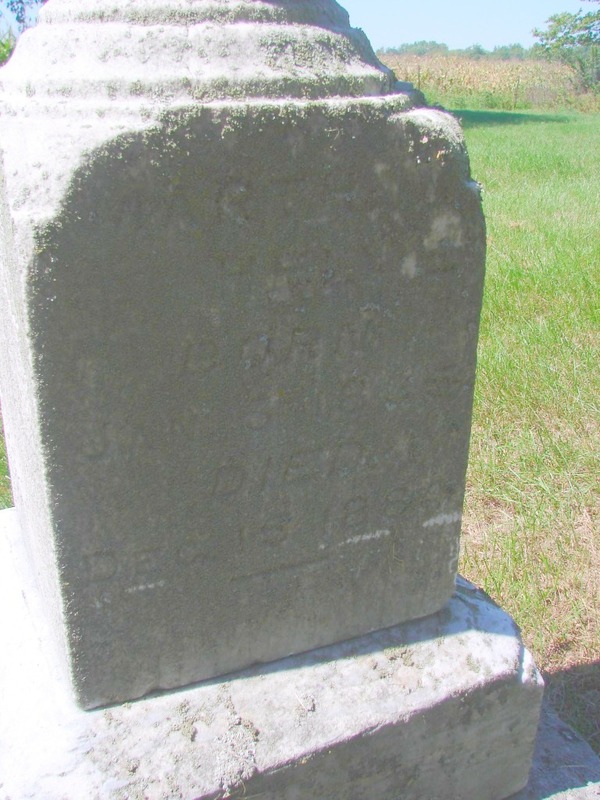 Cemetery is on land deeded the Church trustees in 1872 by the late Dr. J.A. 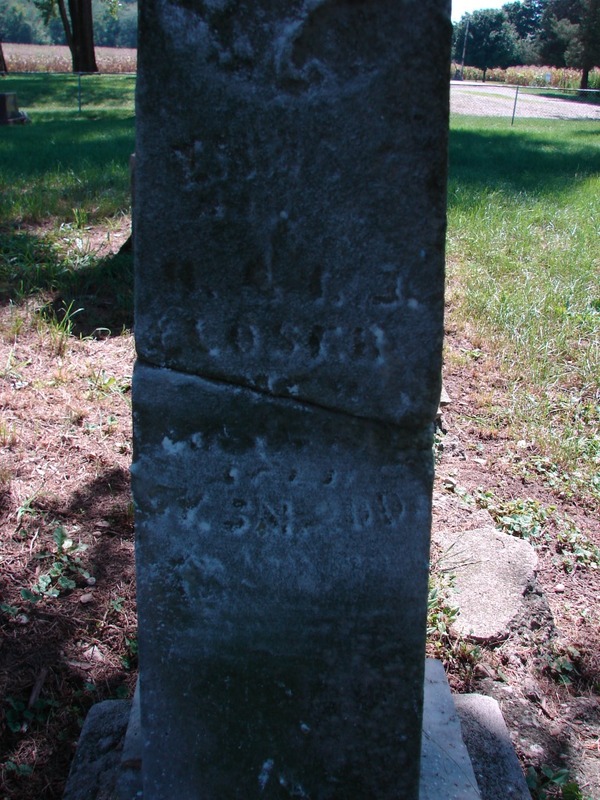 Adrian. 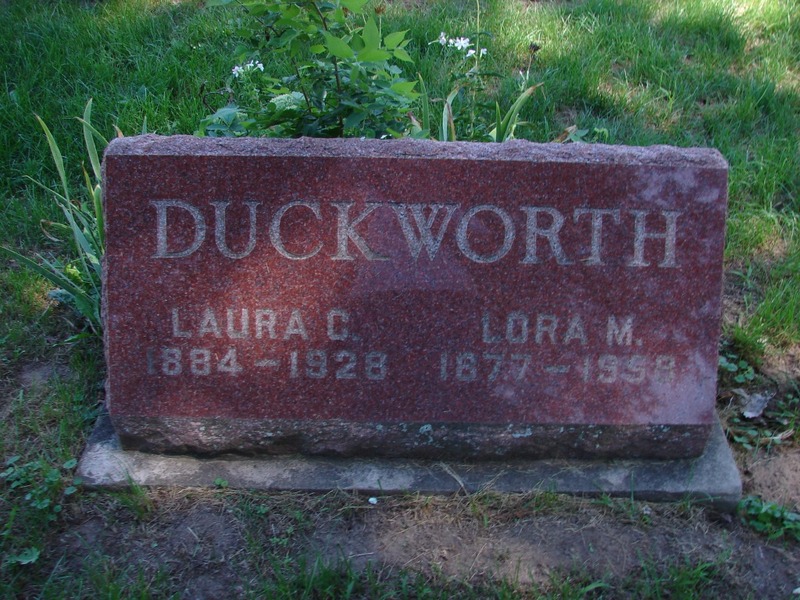 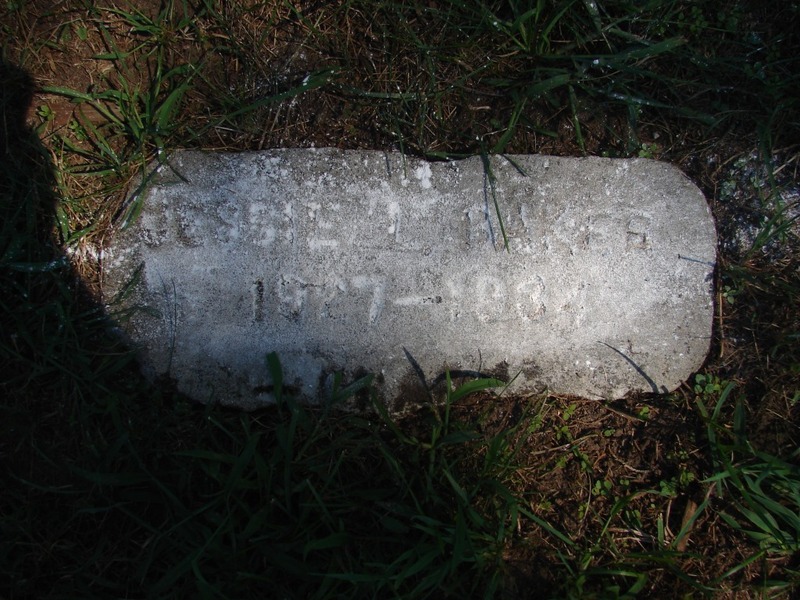 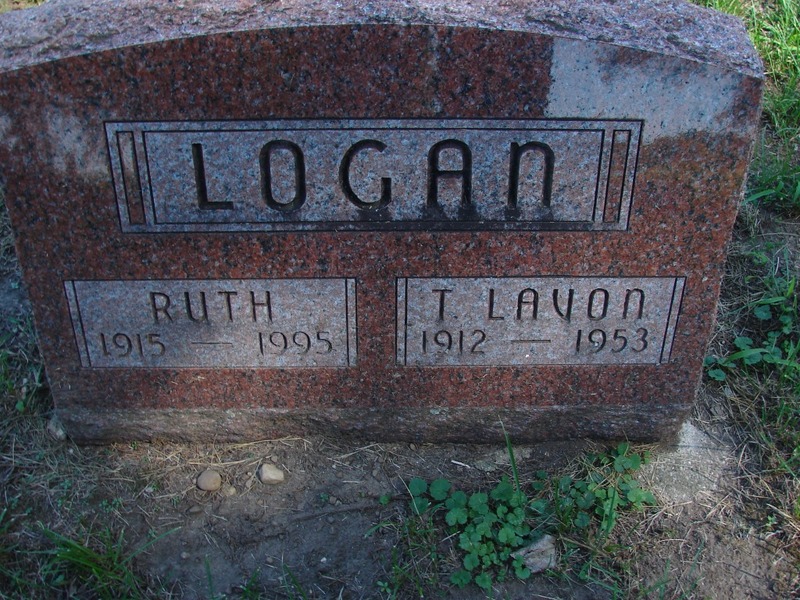 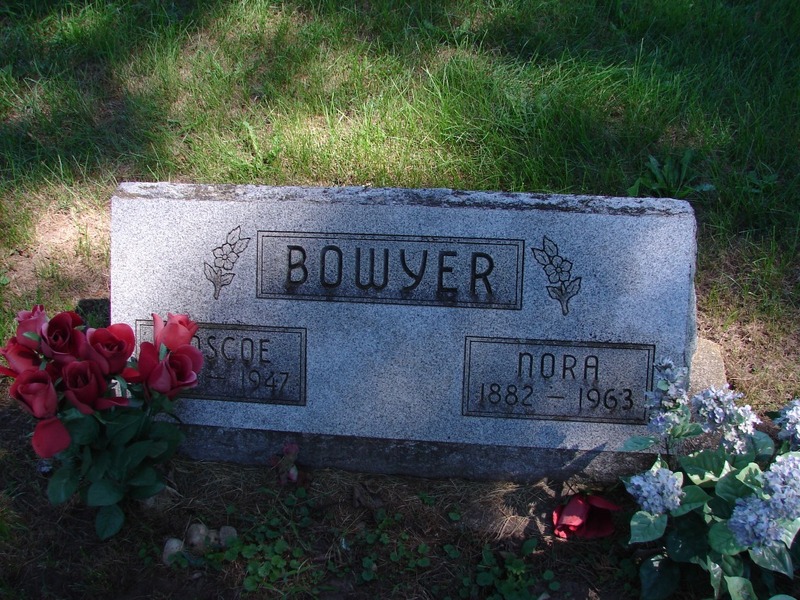 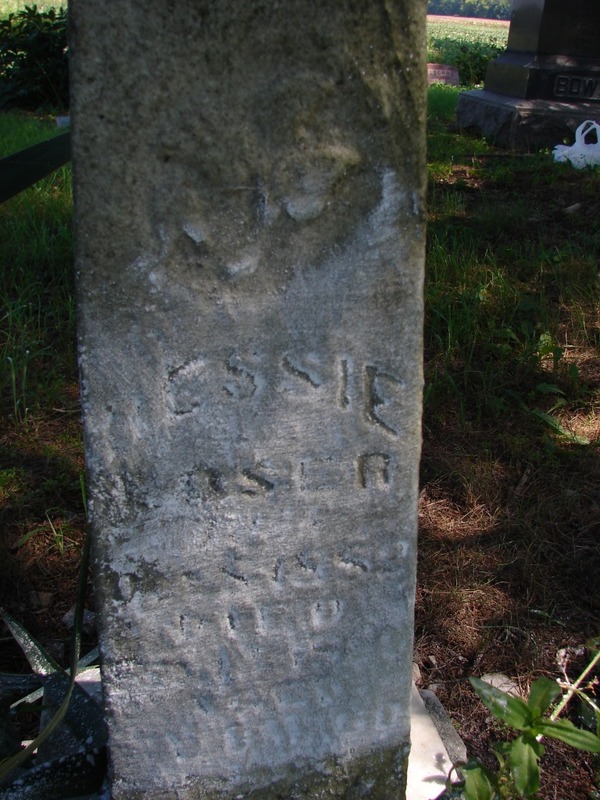 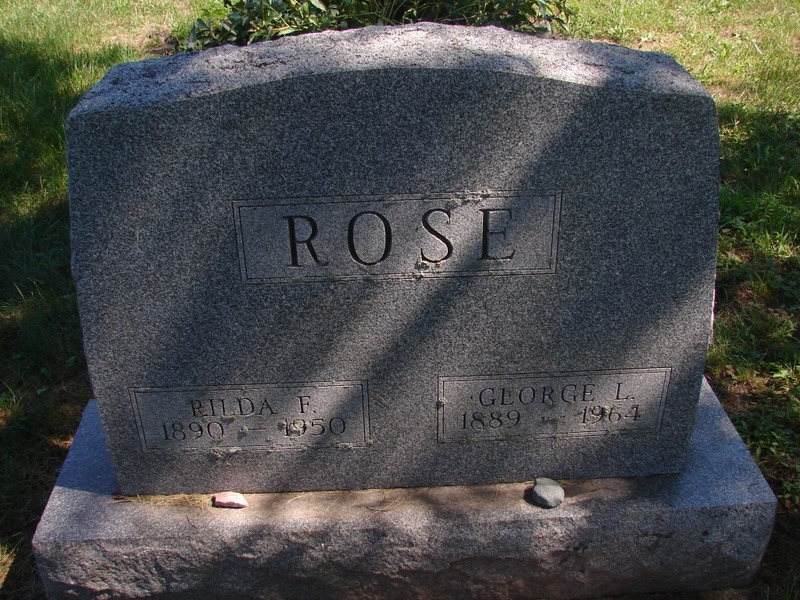 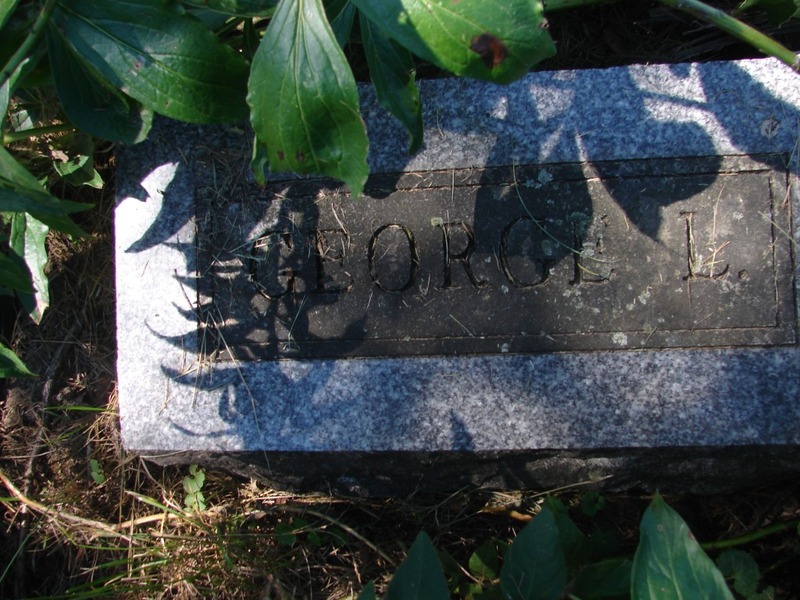 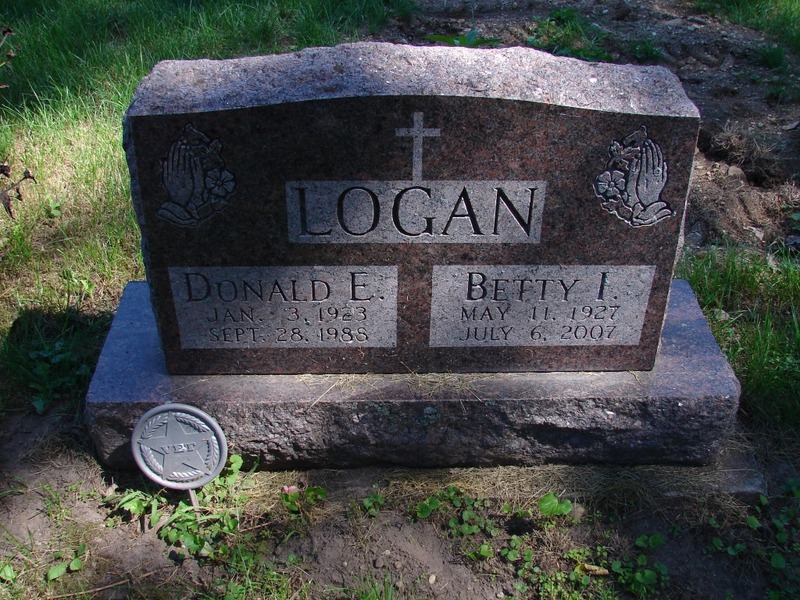 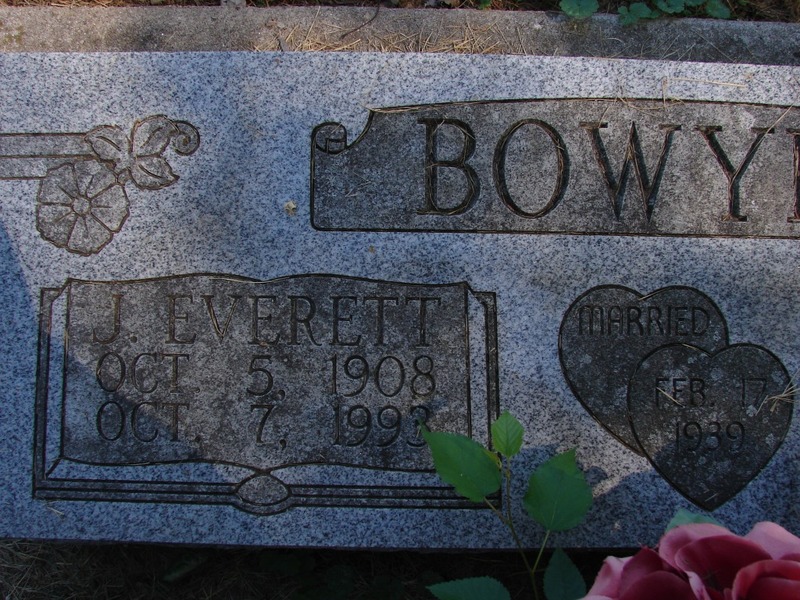 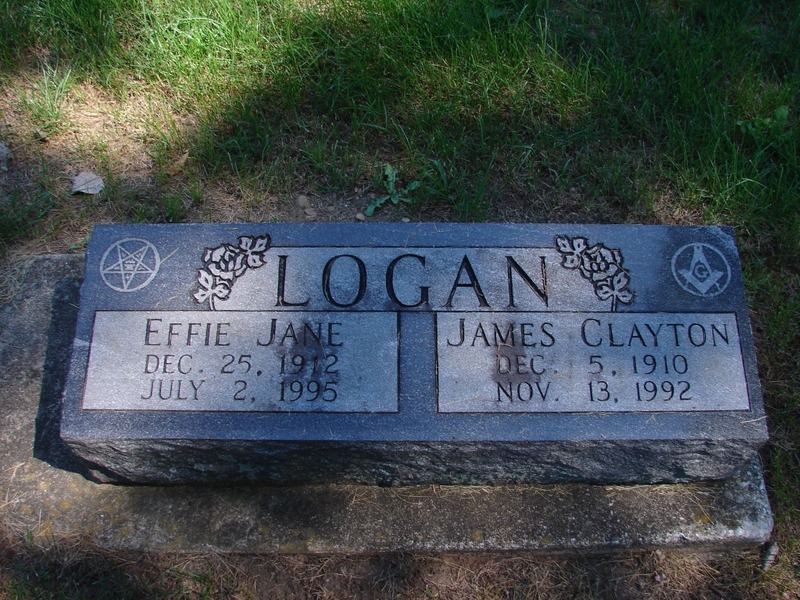 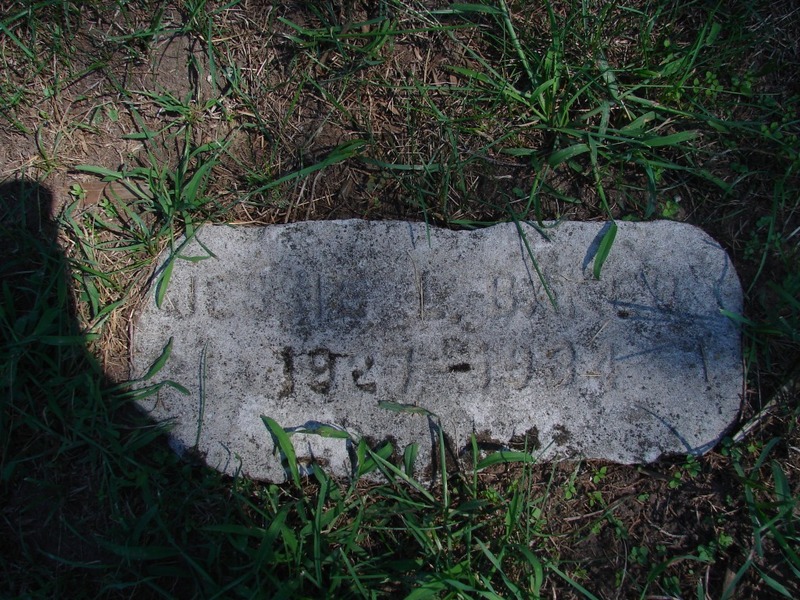 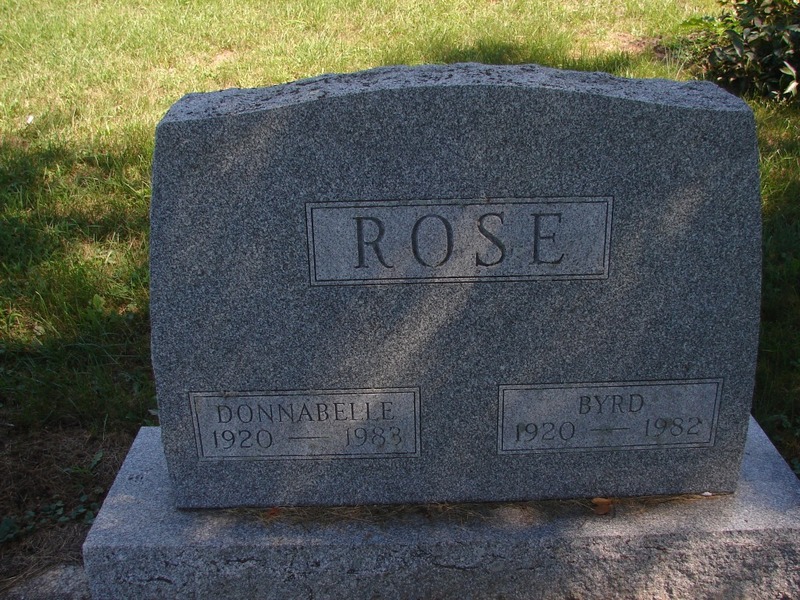 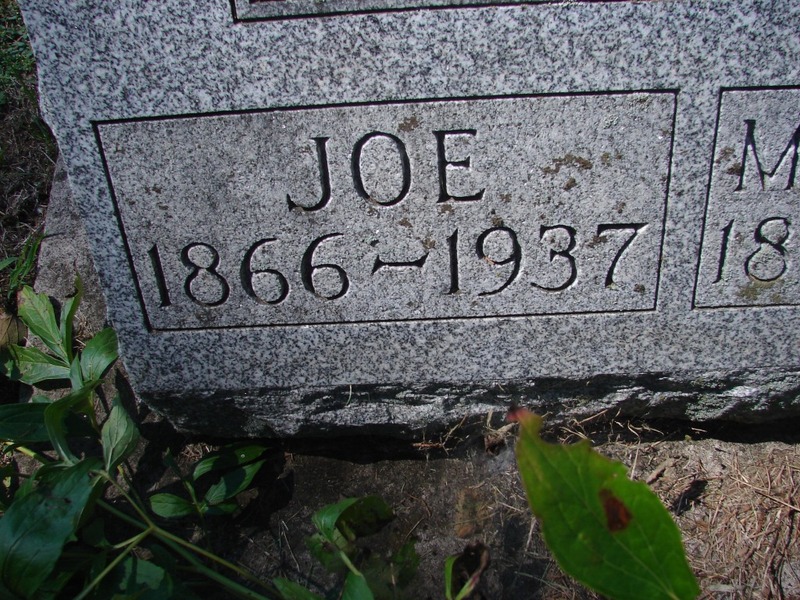 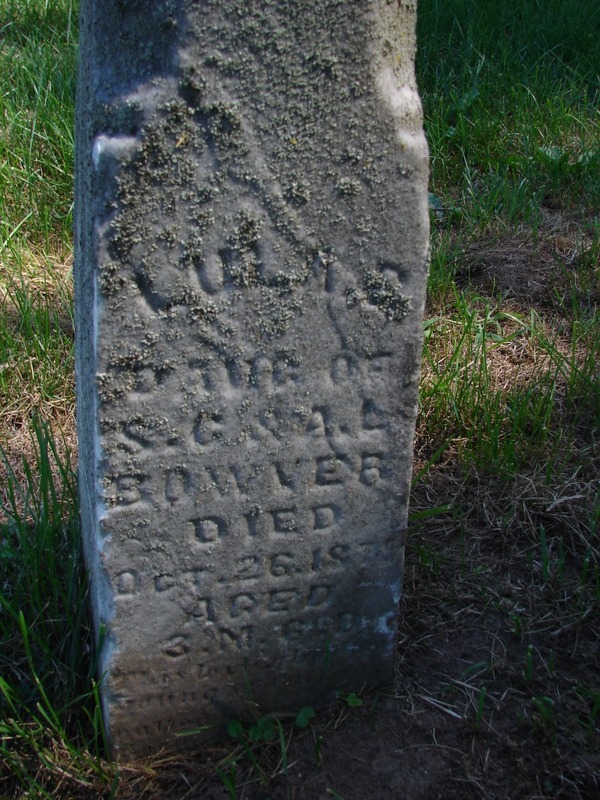 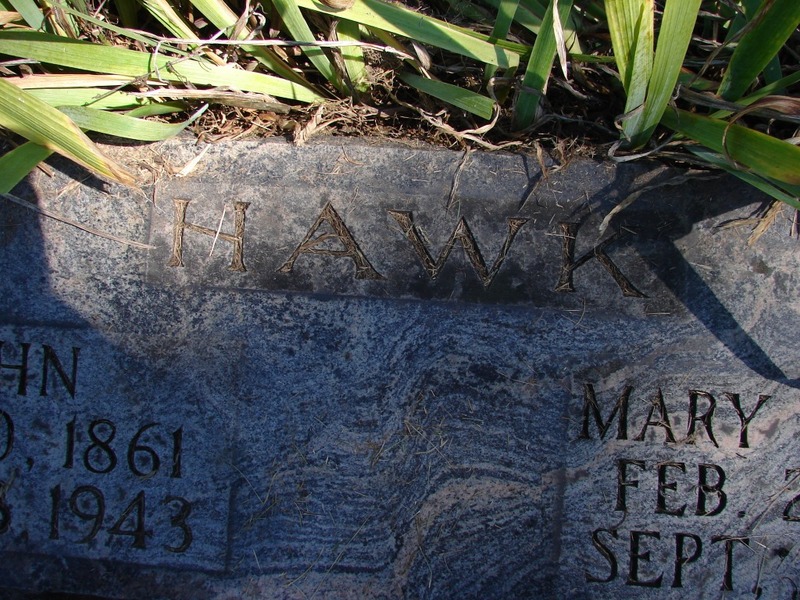 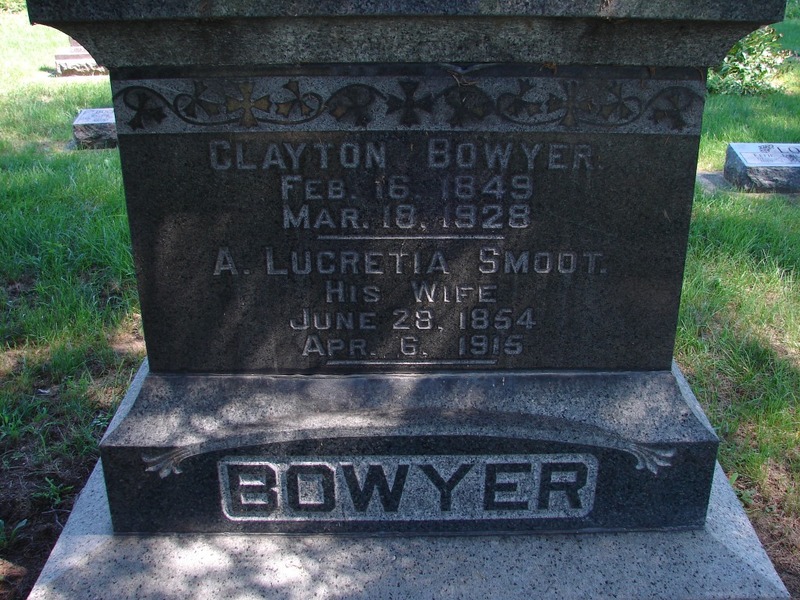 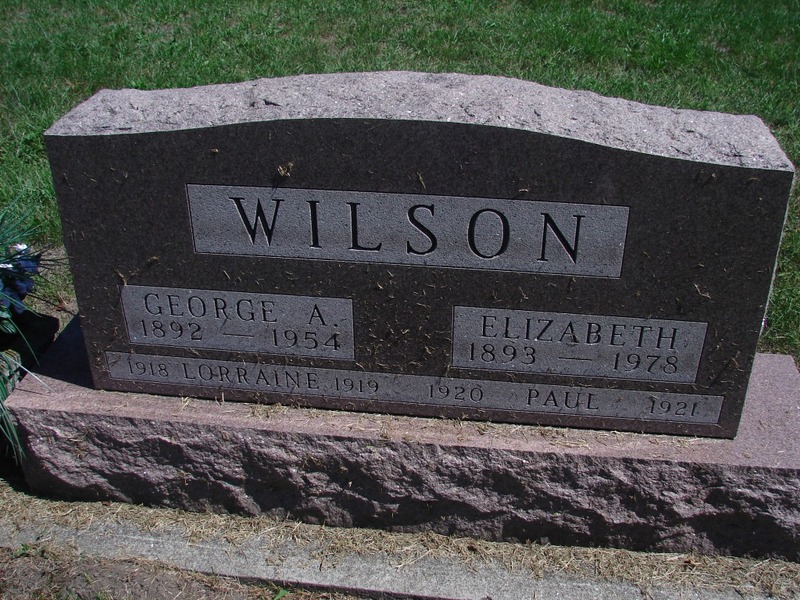 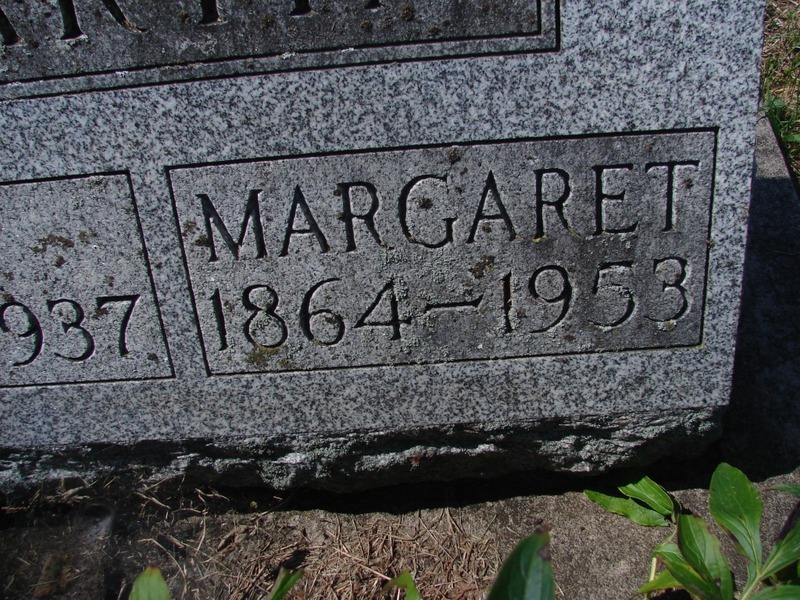 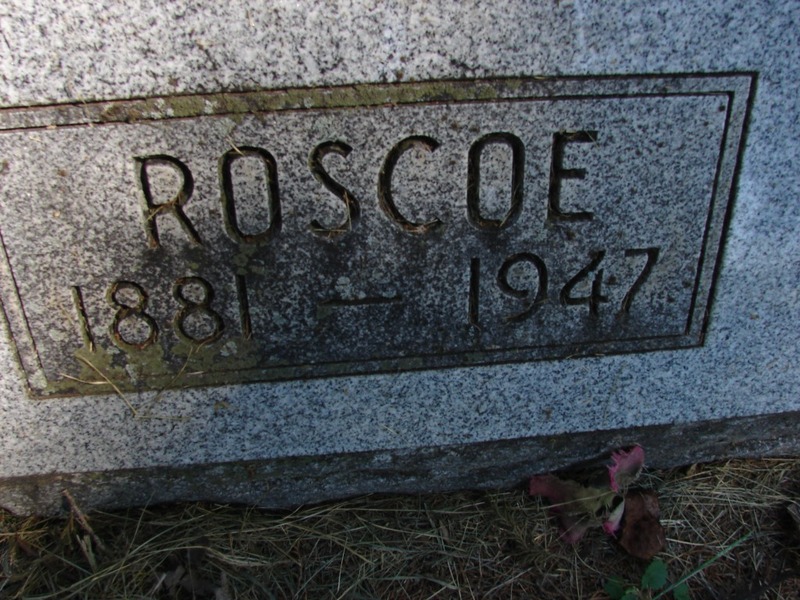 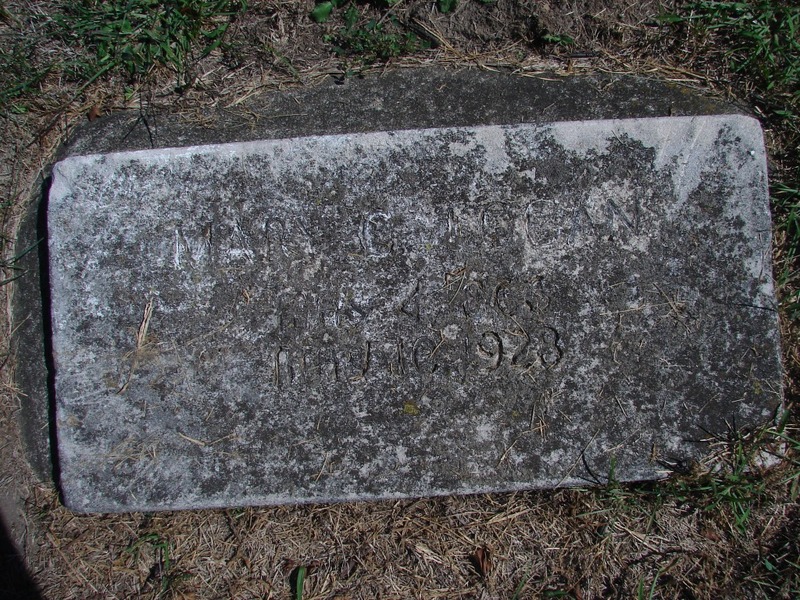 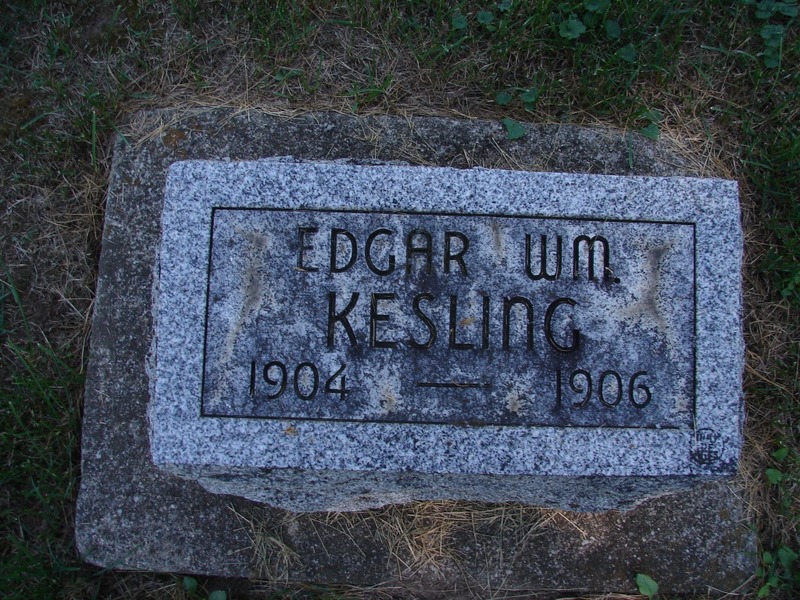 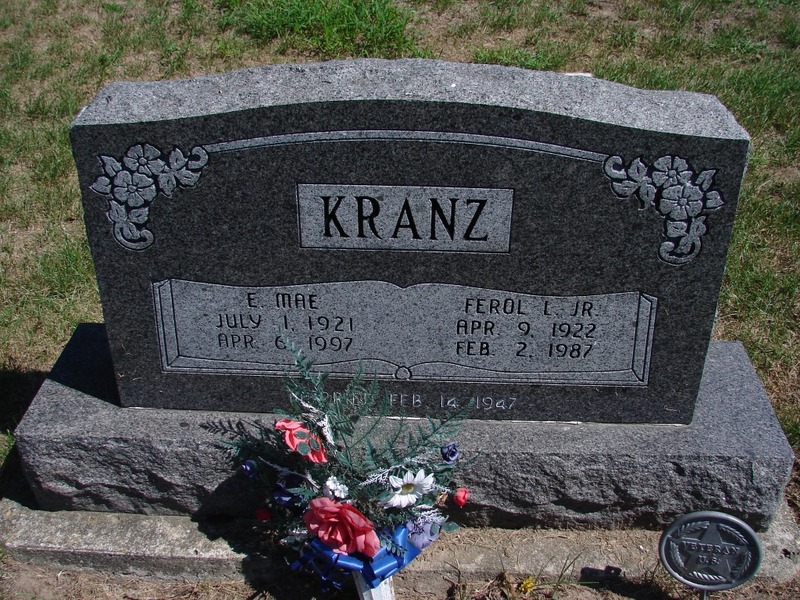 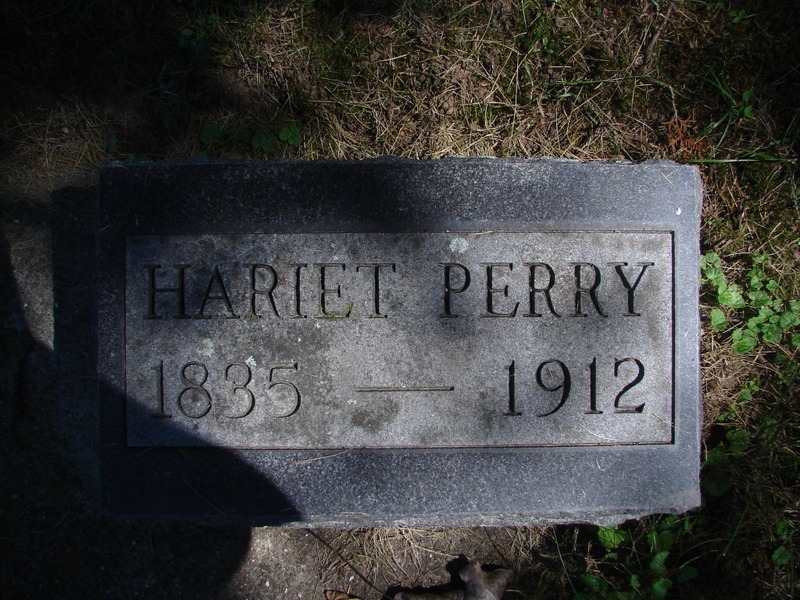 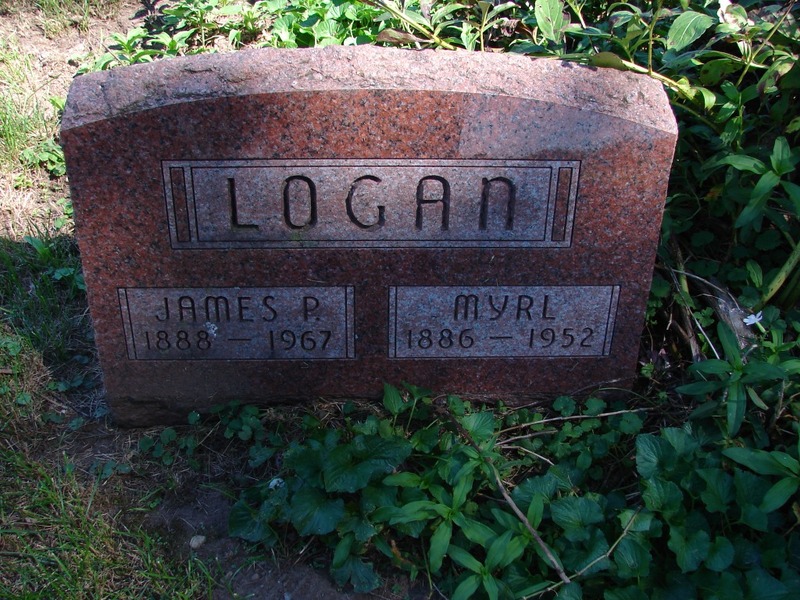 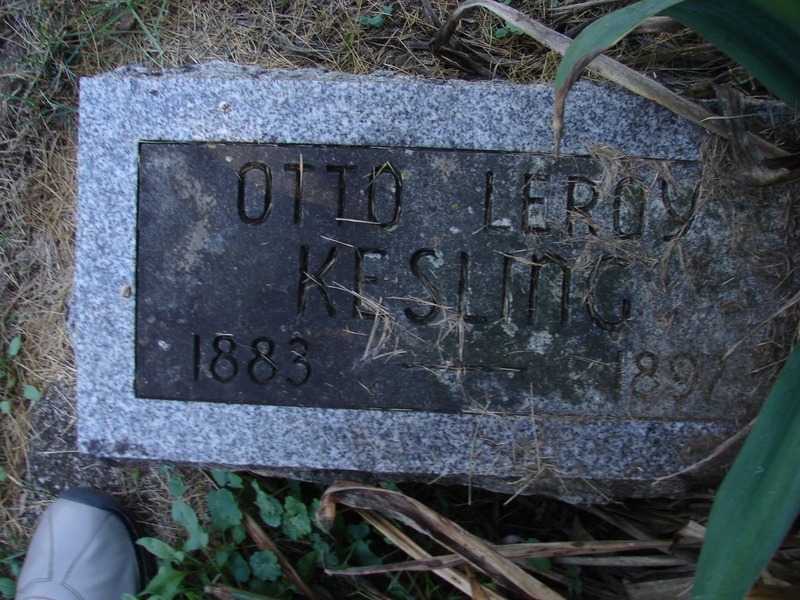 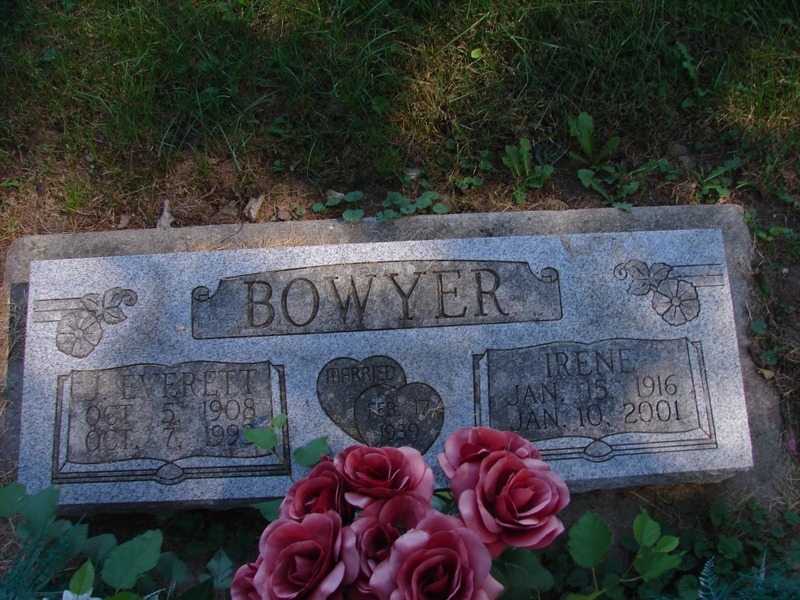 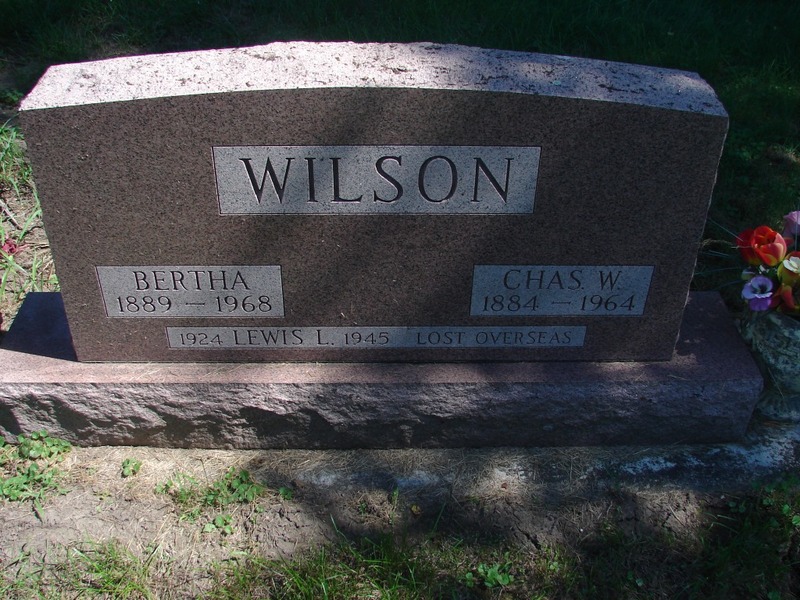 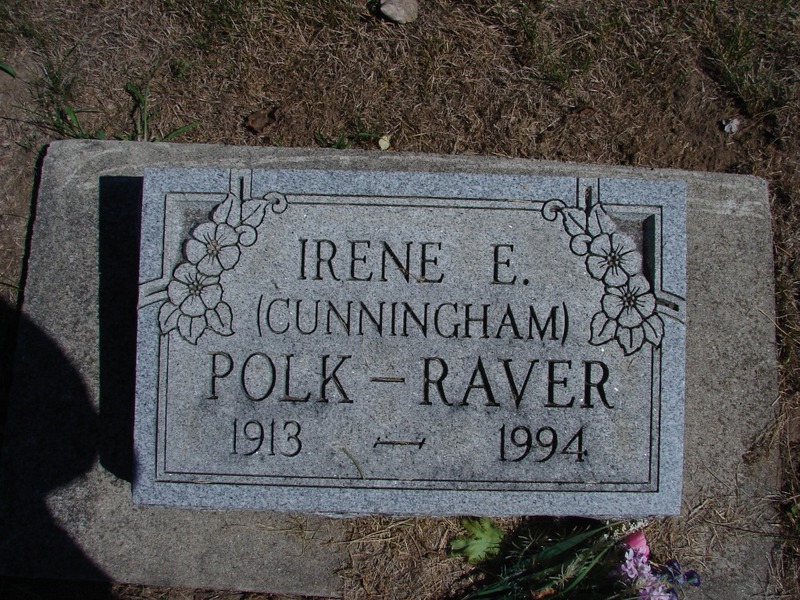 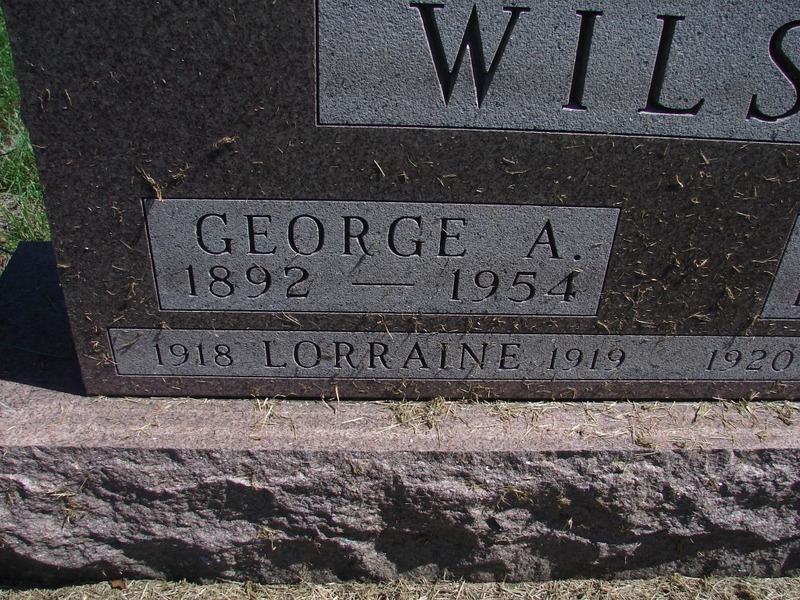 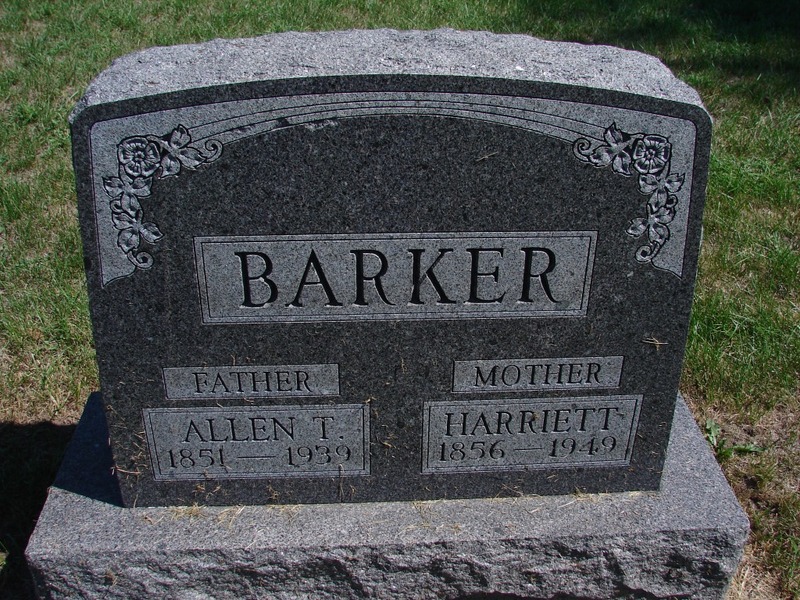 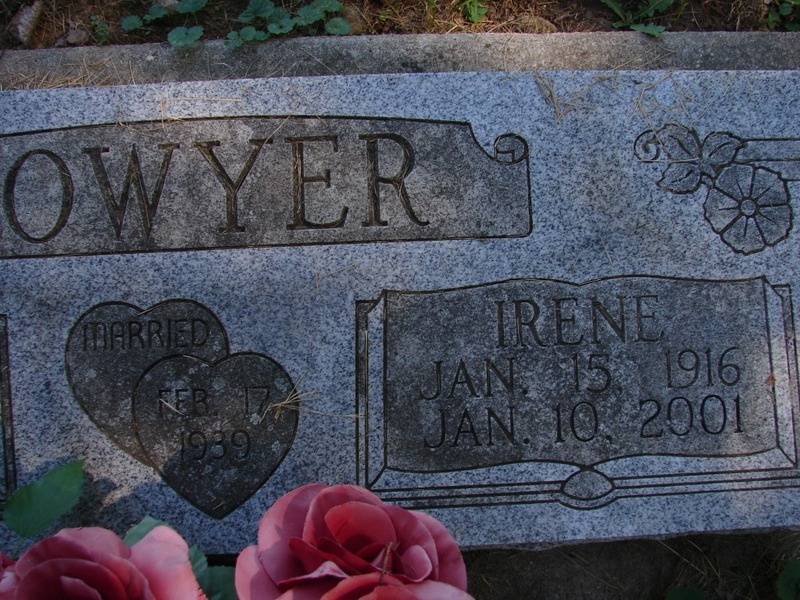 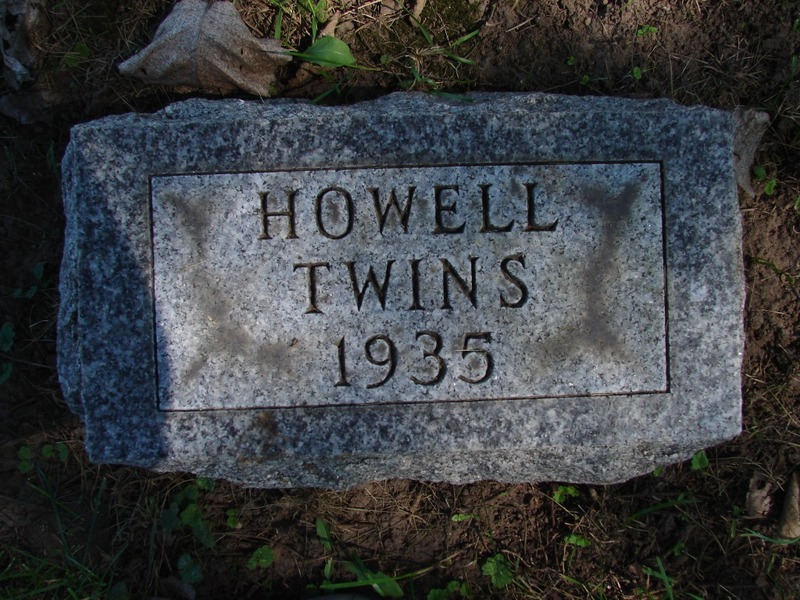 By two of its members: MR. & MRS. GERALD K. BOWYER of south of Cass Station, East of country club, and on Rural Rout 4, Logansport, Who have a number of relatives and friends who lie buried in this Cemetery, which is some 2 ½ miles, as a crow flies; E.S.E . 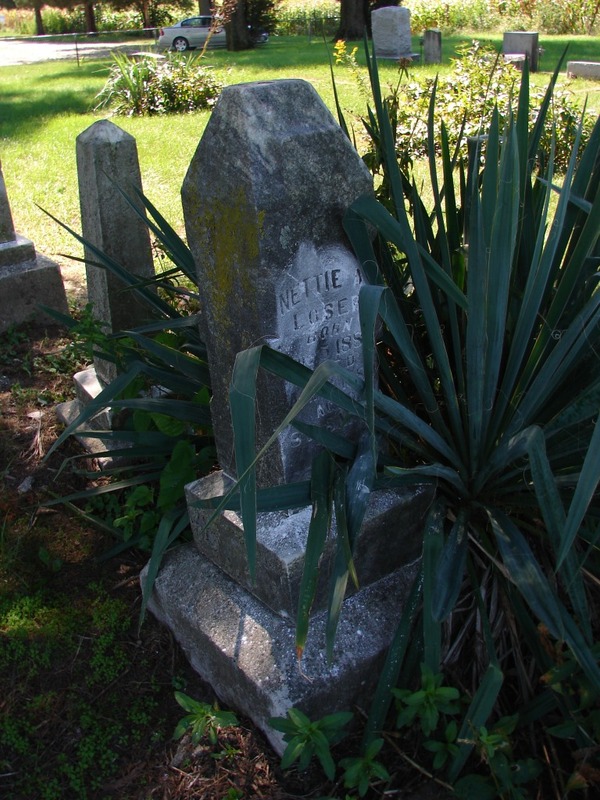 of their home. 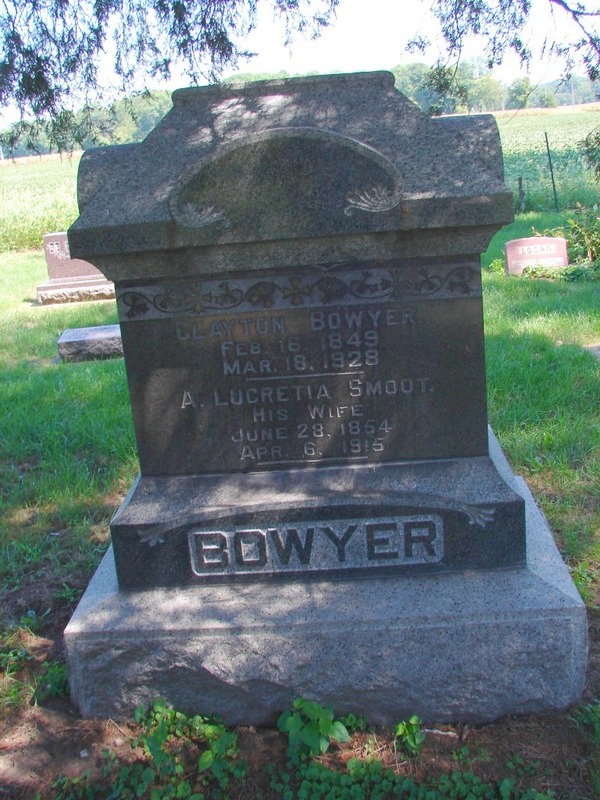 BOWYER Lula B. 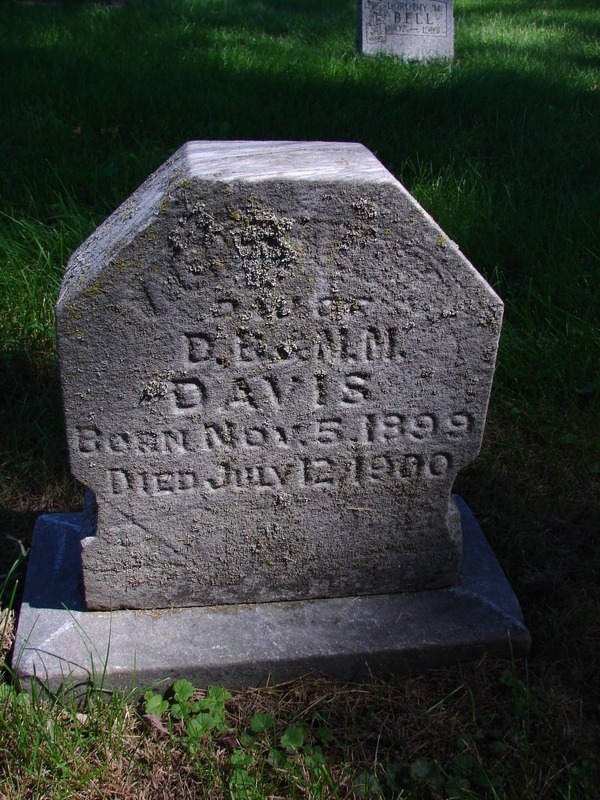 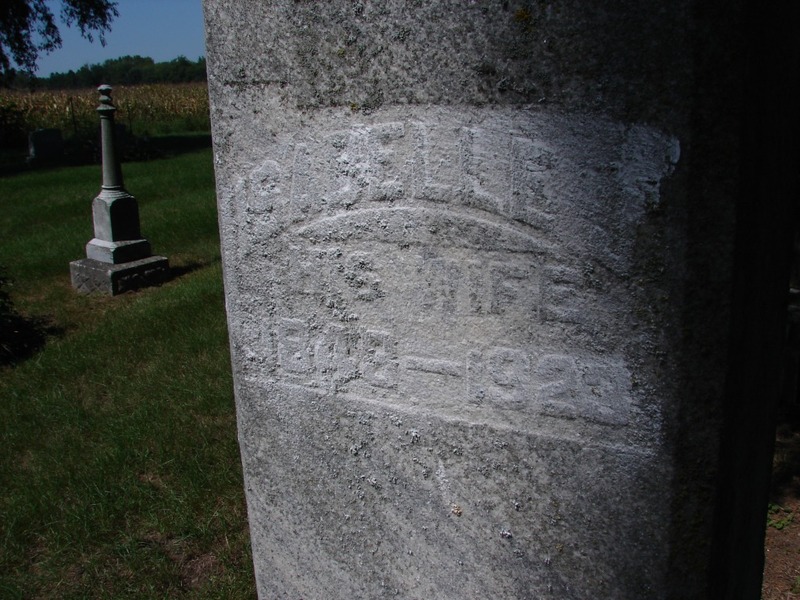 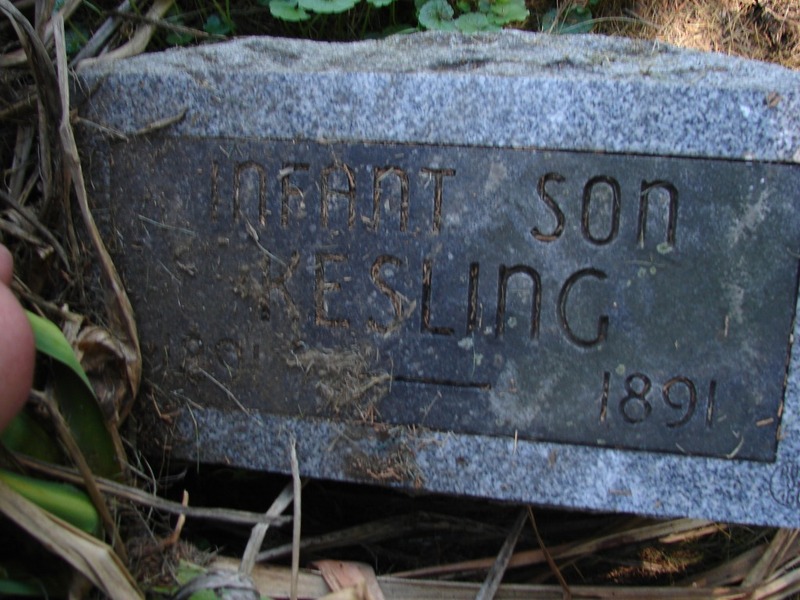 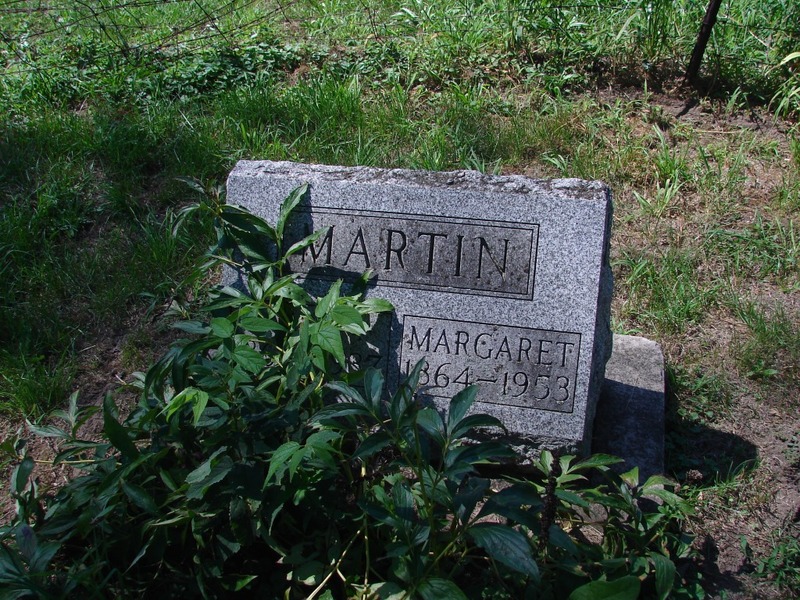 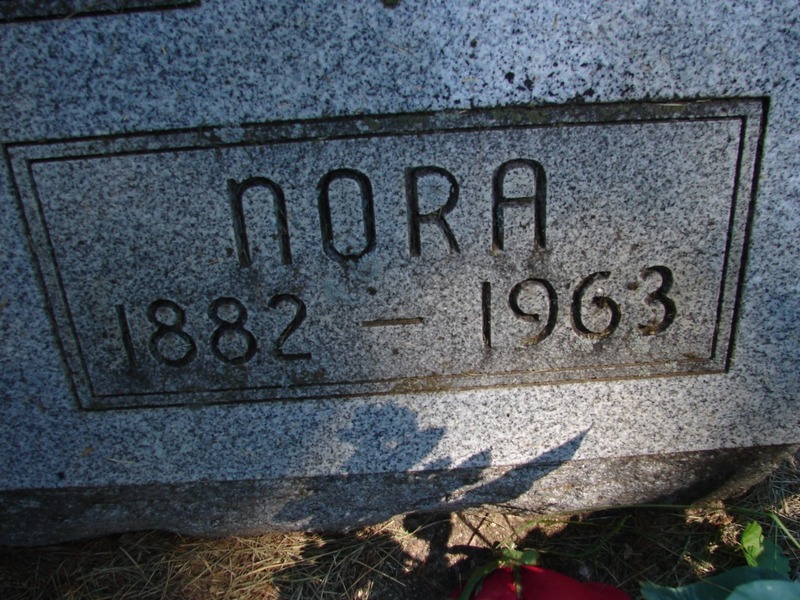 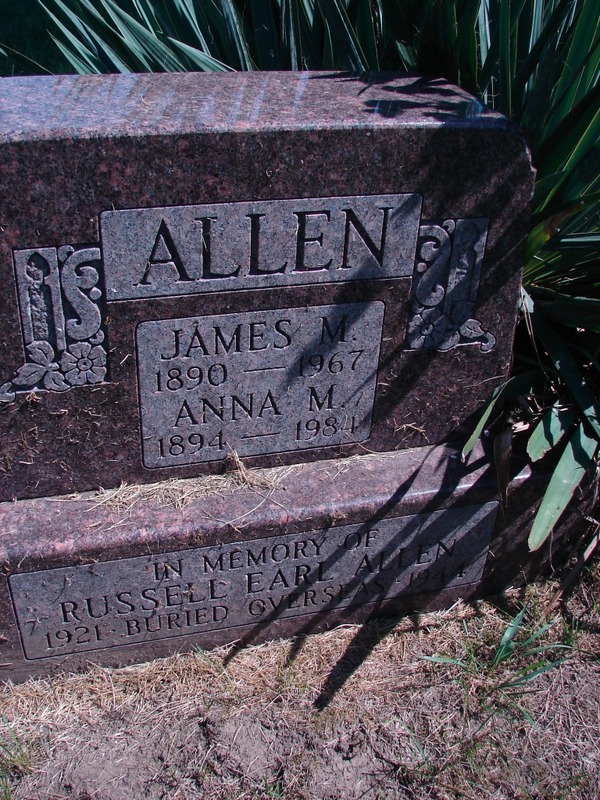 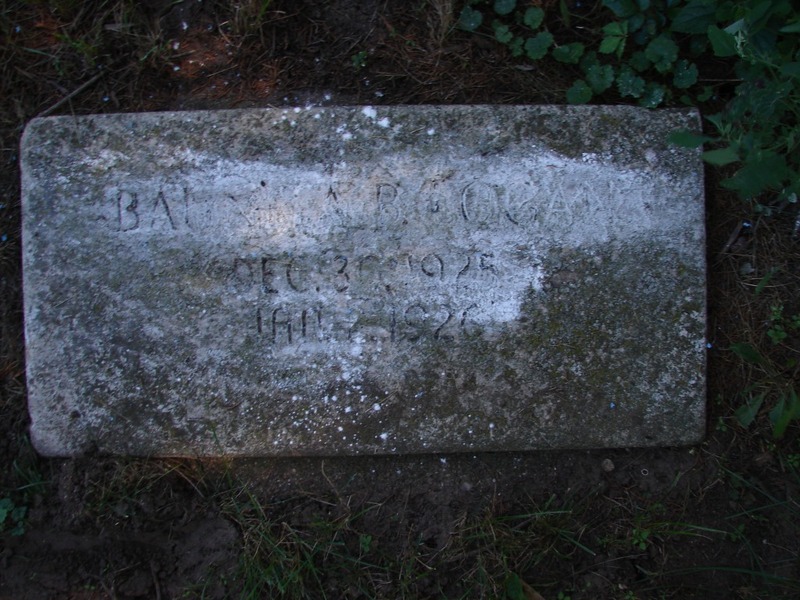 20 Jul 1879 26 Oct 1879 3mo d/o S.G.& G.D.
DAVIS Agnes Vivian 5 Nov 1899 12 Jul 1900 8mo d/o D.B.& M.M. 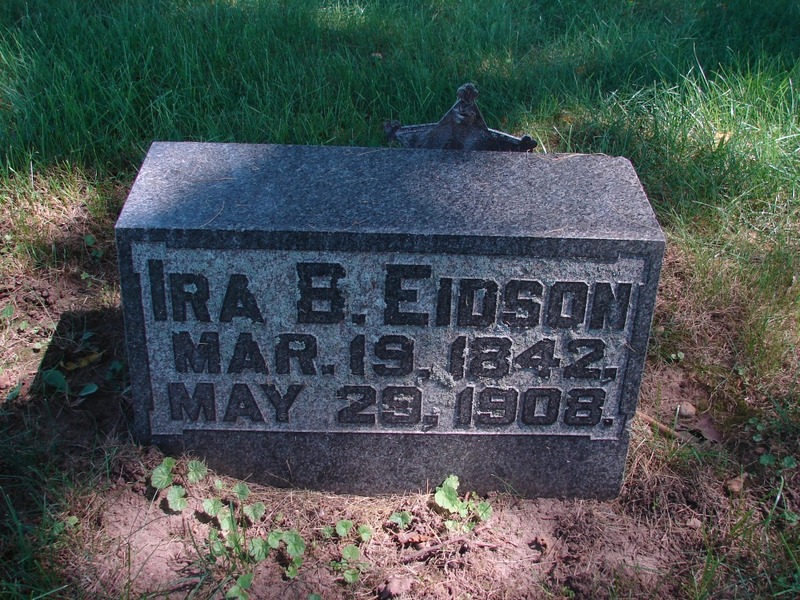 EIDSON Ira B. 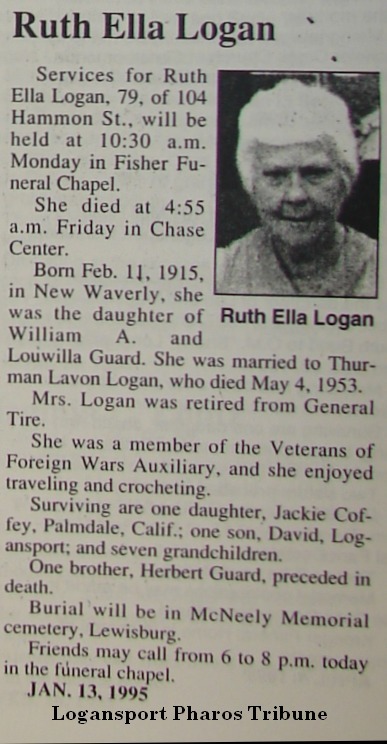 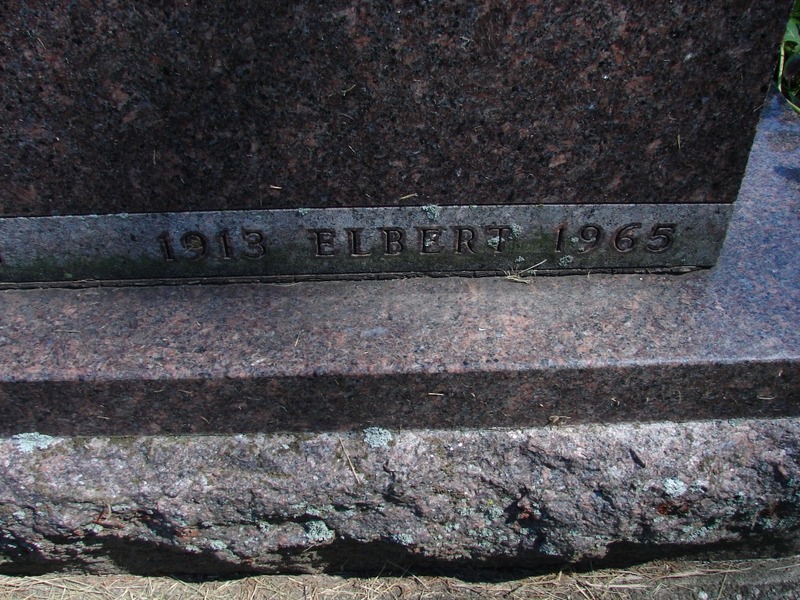 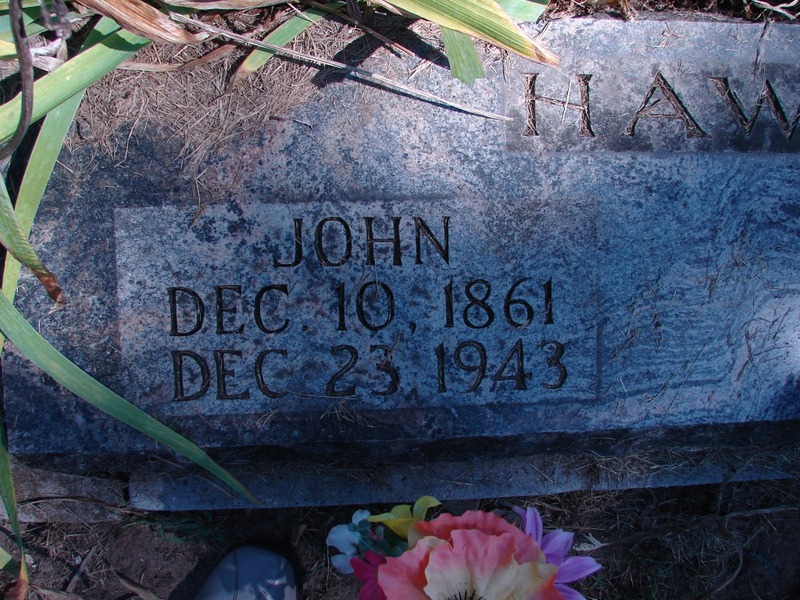 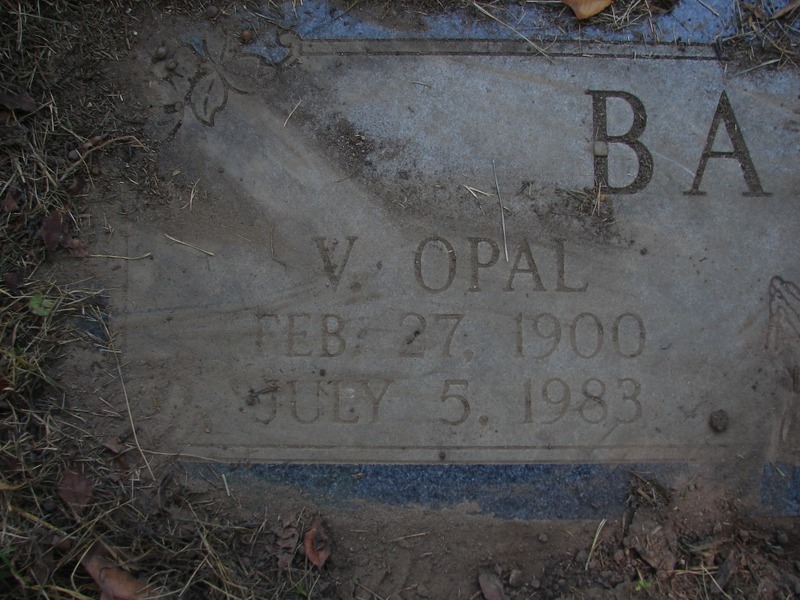 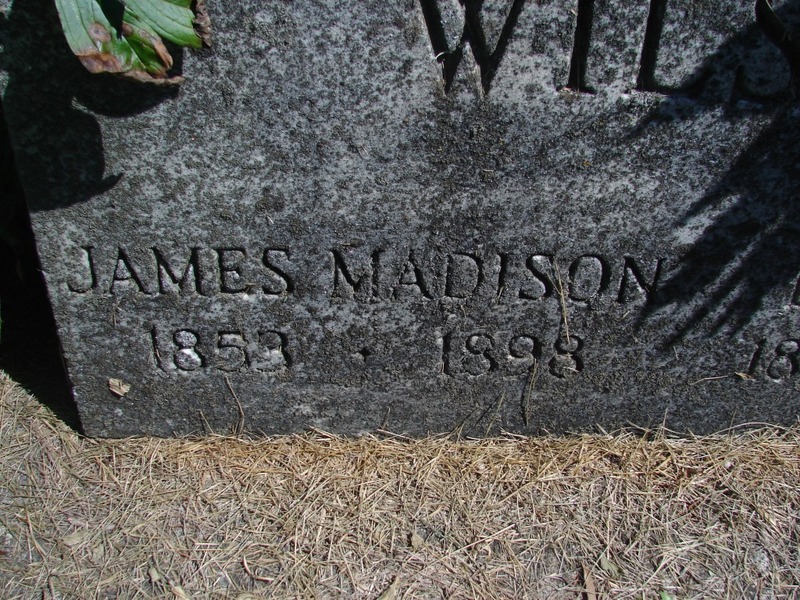 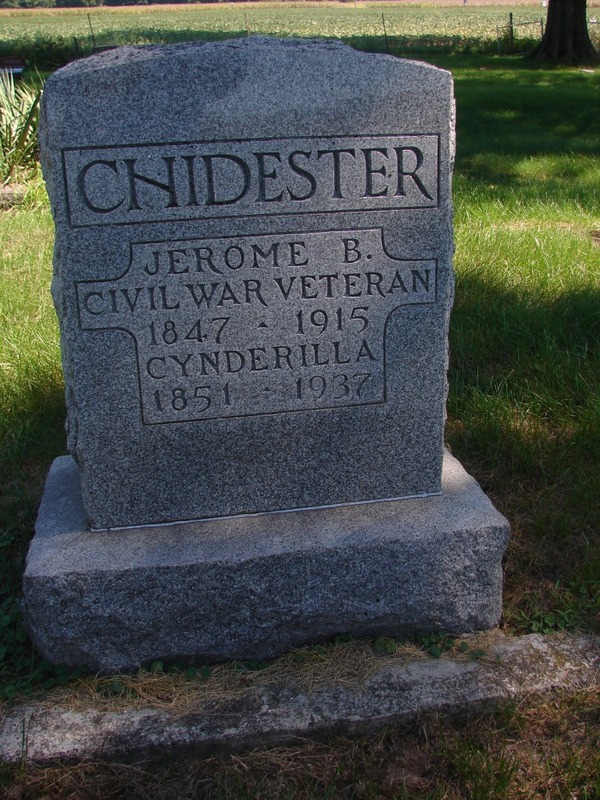 19 Mar 1842 29 May 1908 66 Civil War Vet. 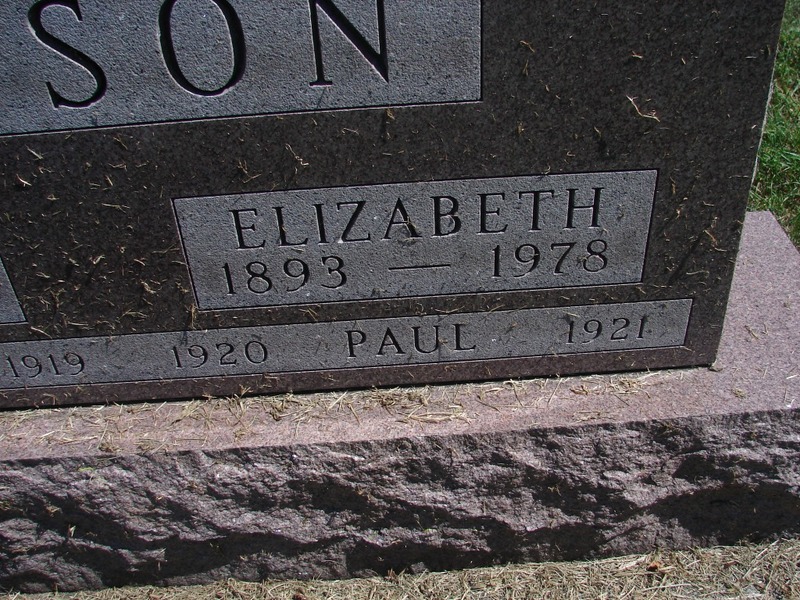 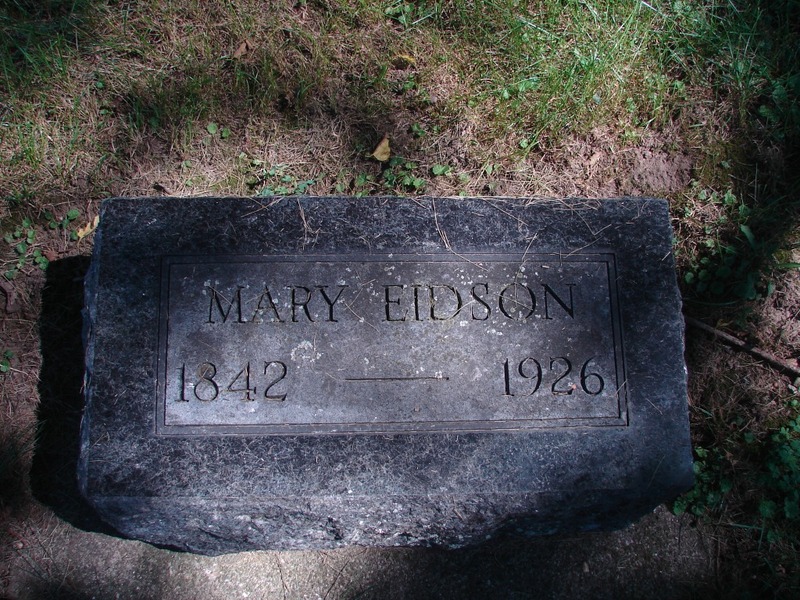 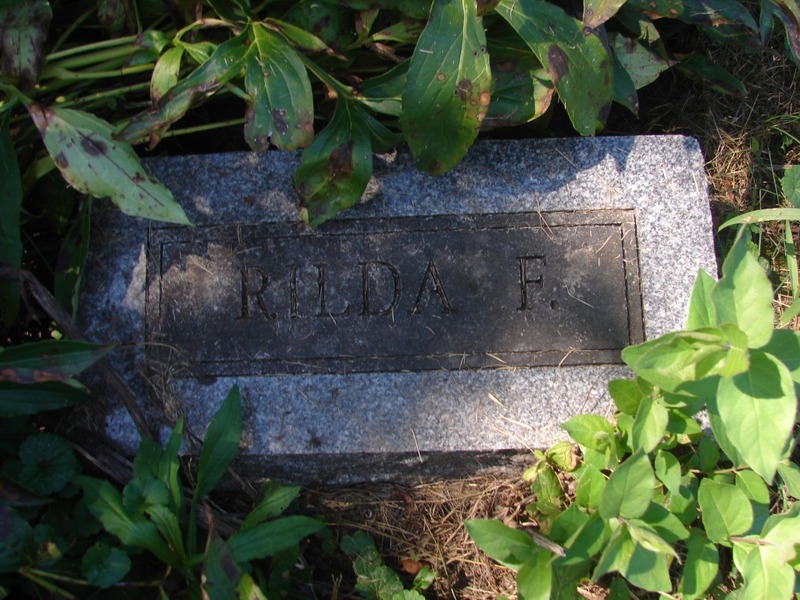 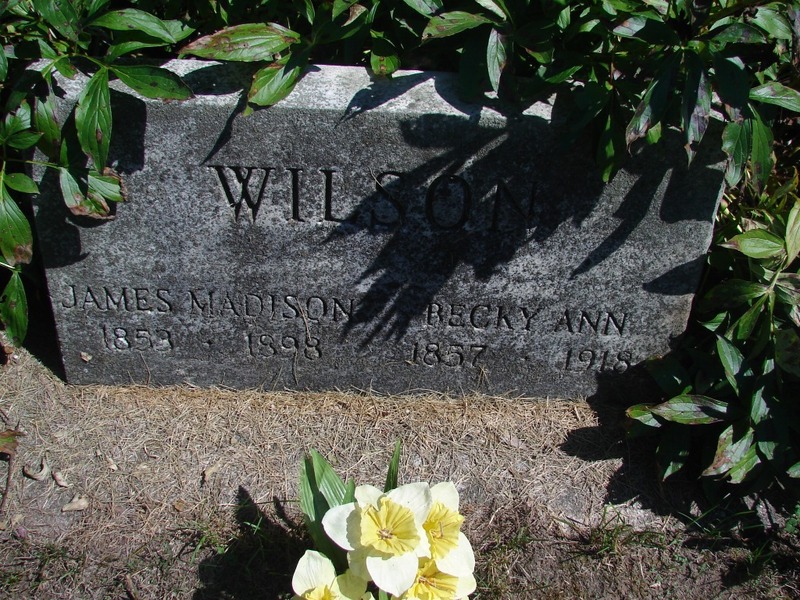 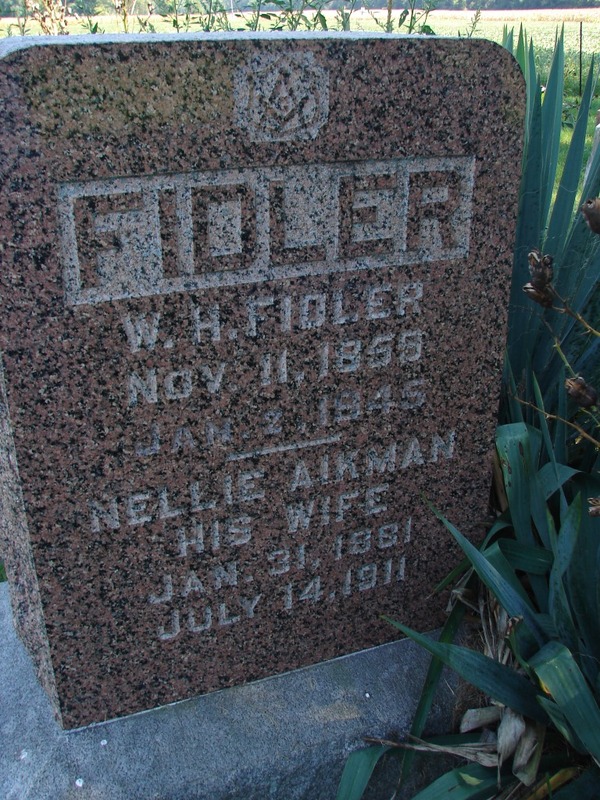 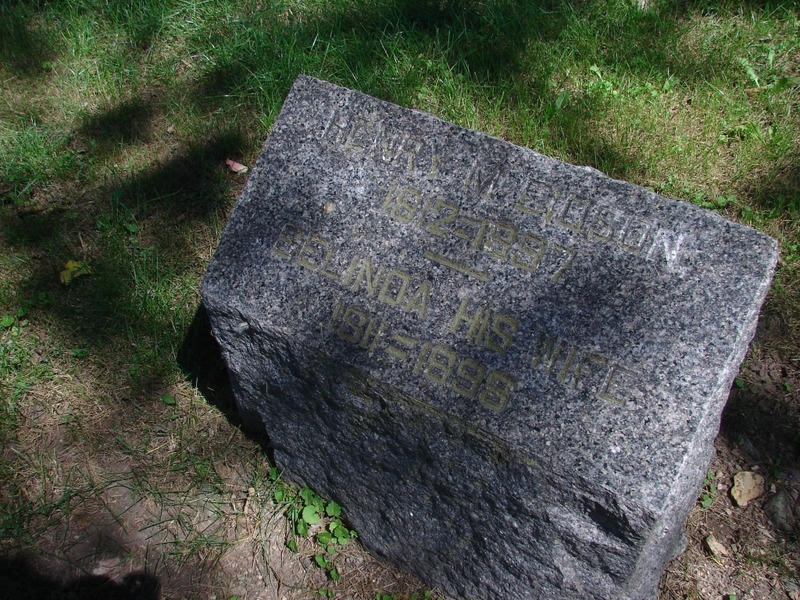 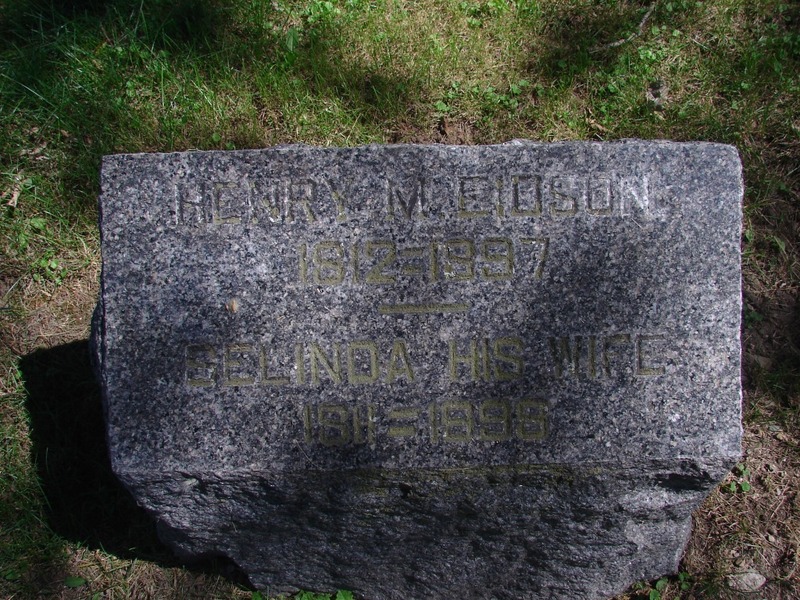 EIDSON Mary 1842 1926 w/o Ira B.
EIDSON Selinda 1811 9 Sep 1898 86 w/o H.M.
FIDLER Nellie Aikman 31 Jan 1881 14 Jul 1911 30 w/o W.H. 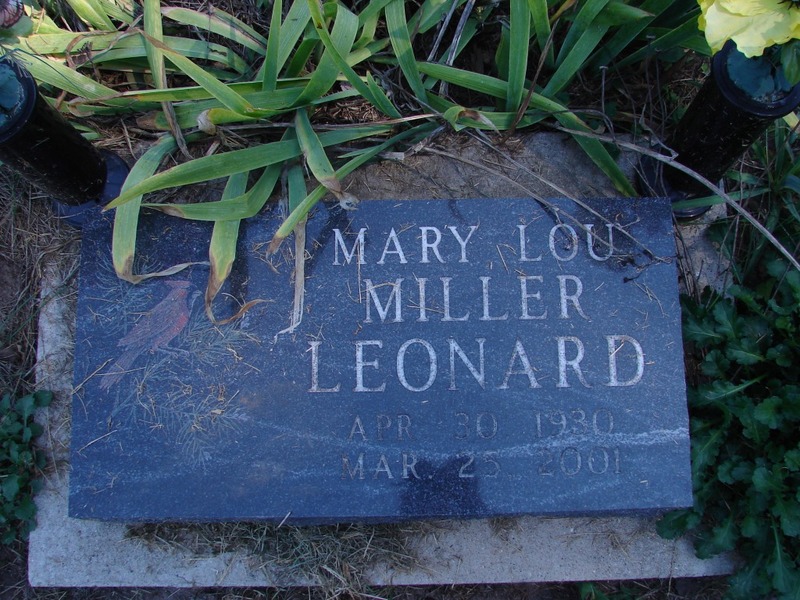 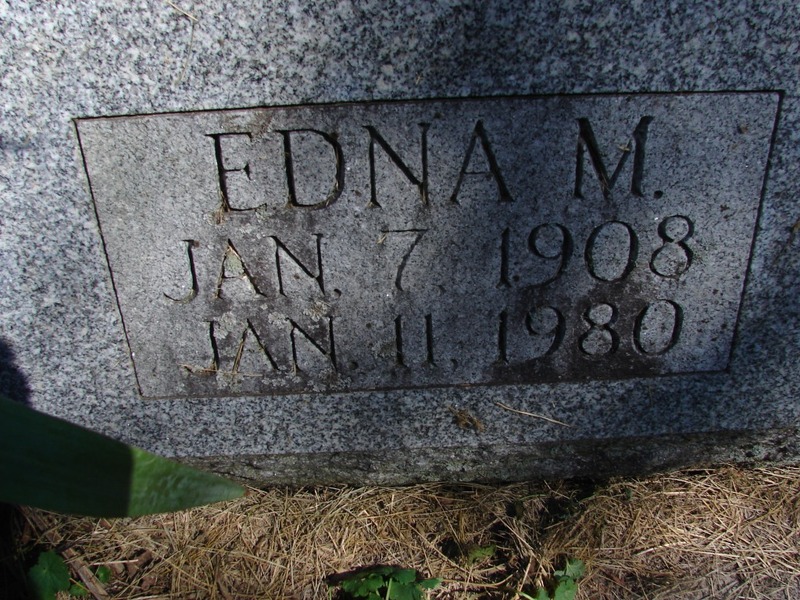 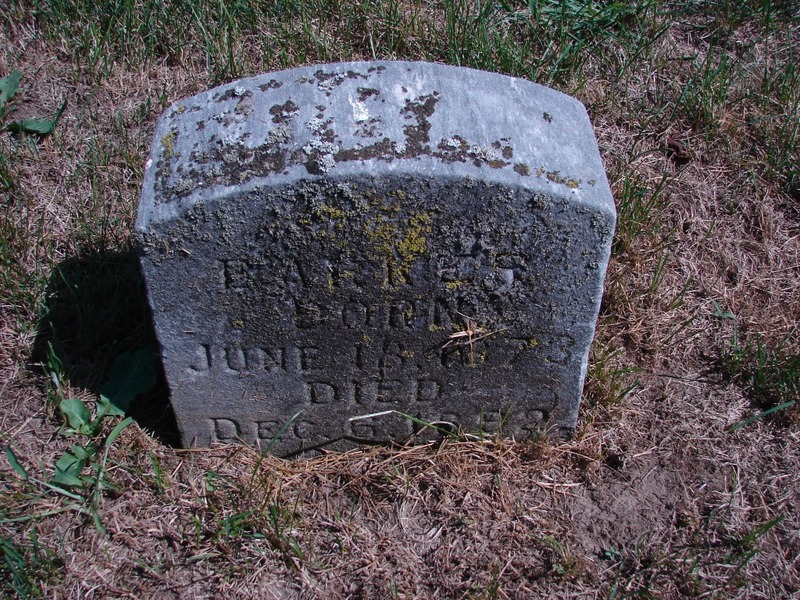 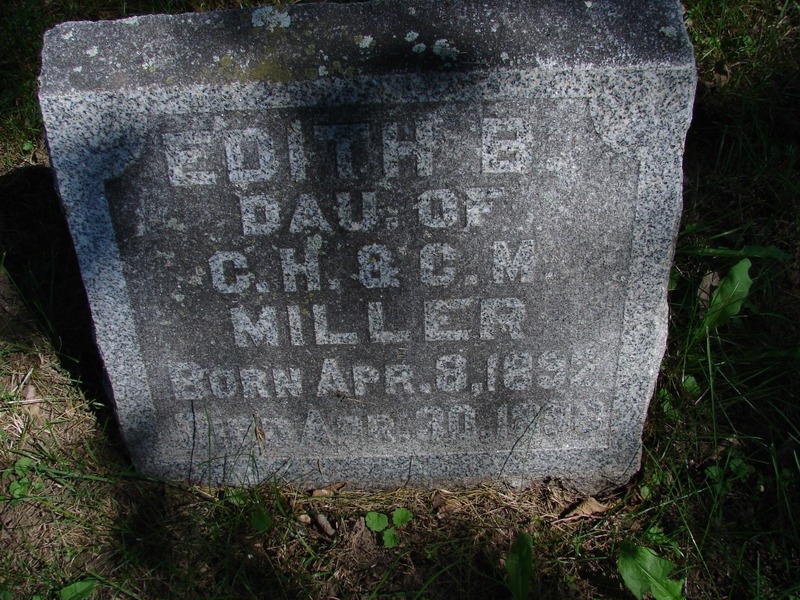 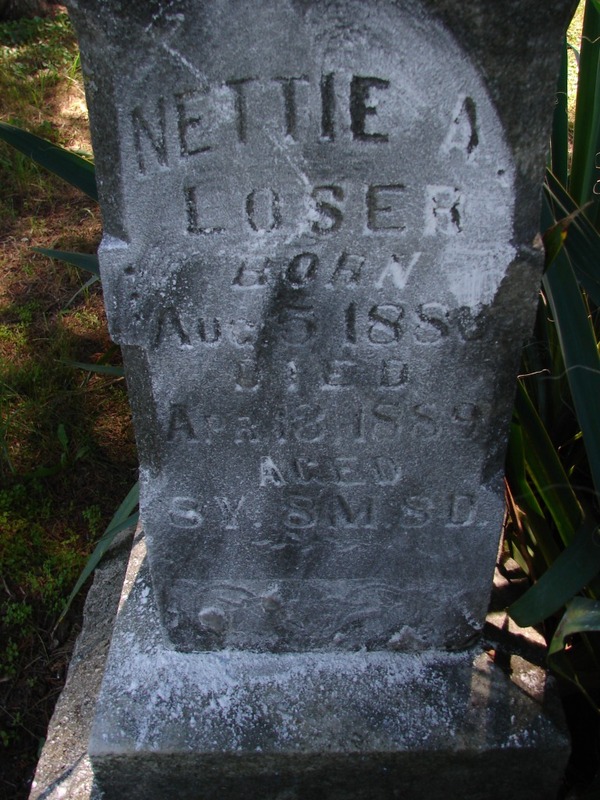 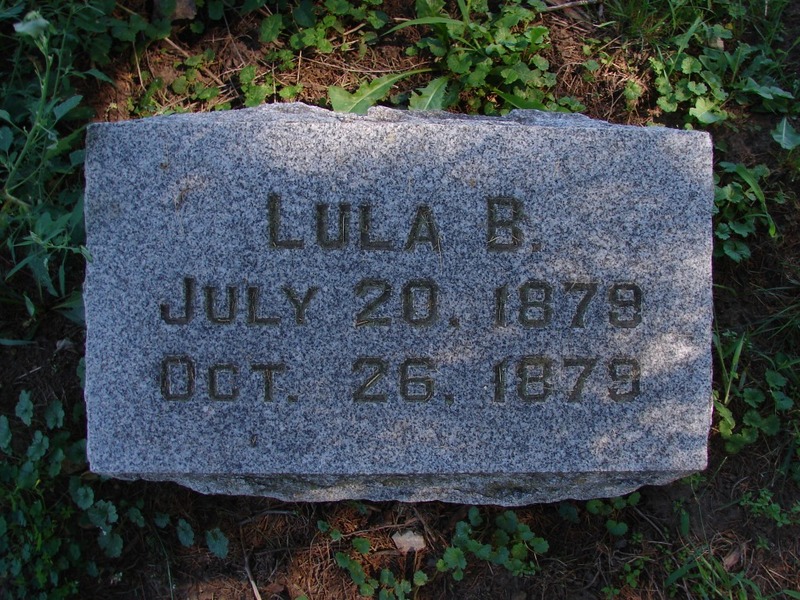 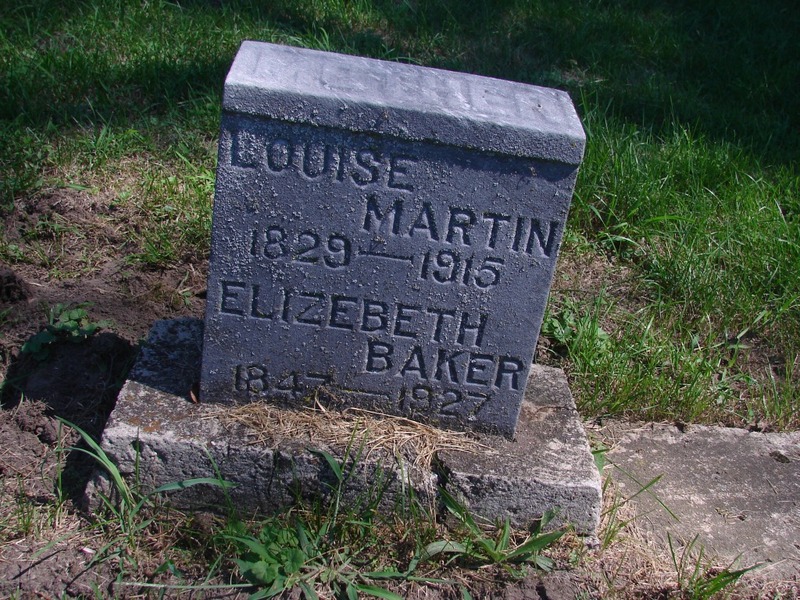 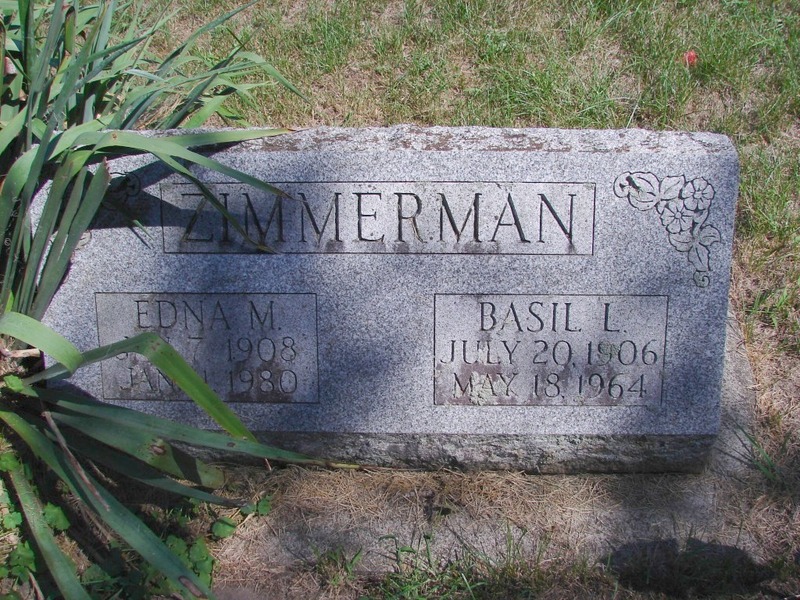 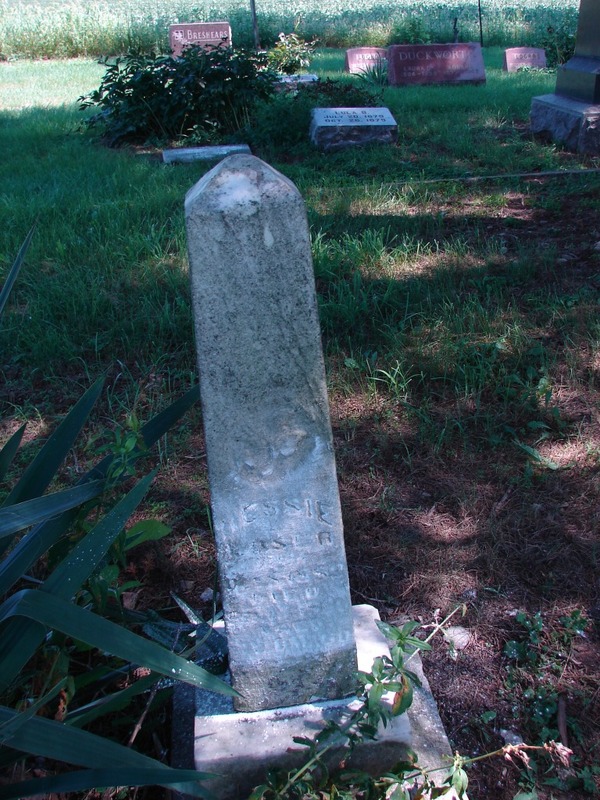 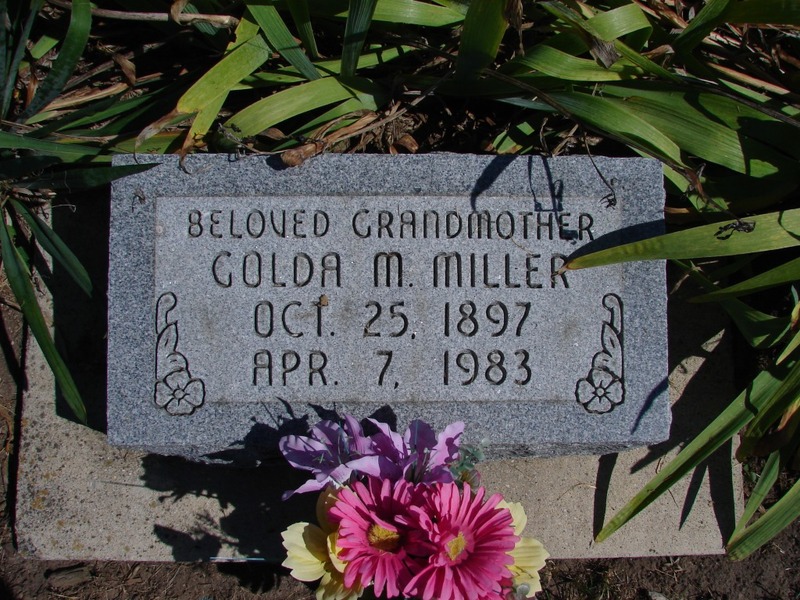 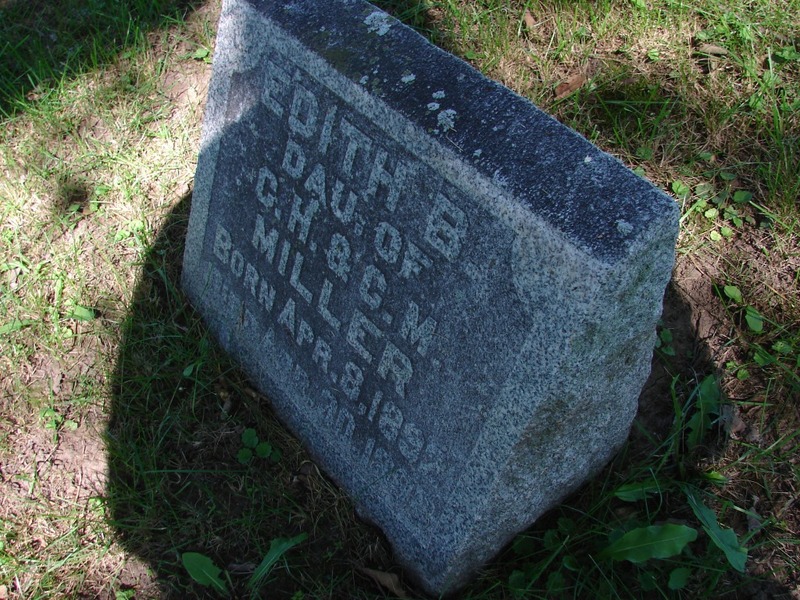 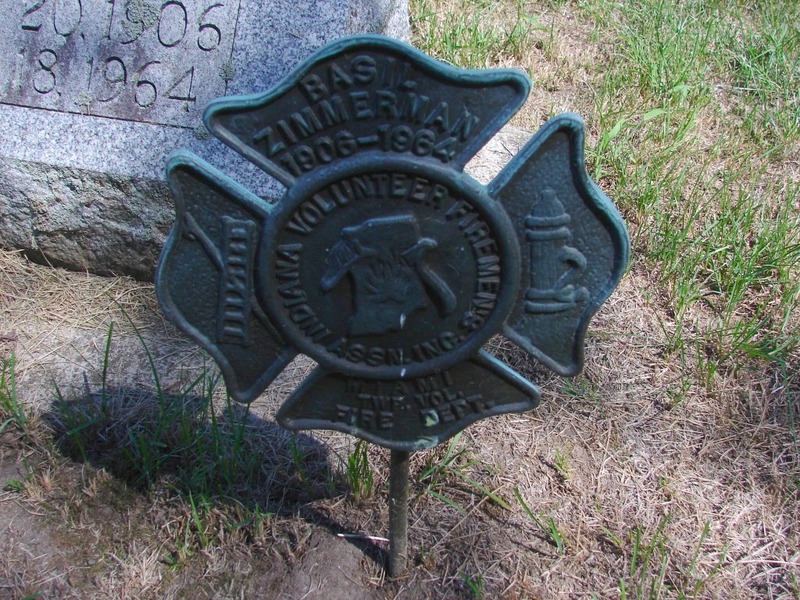 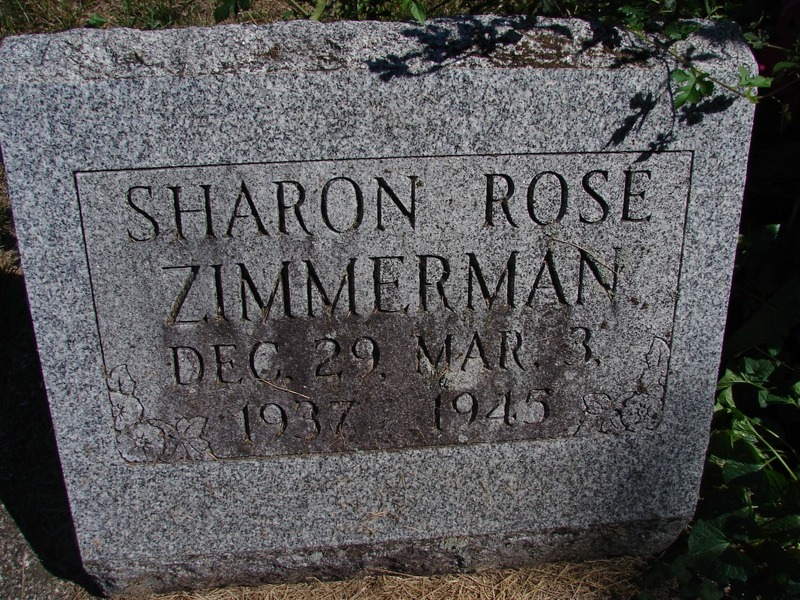 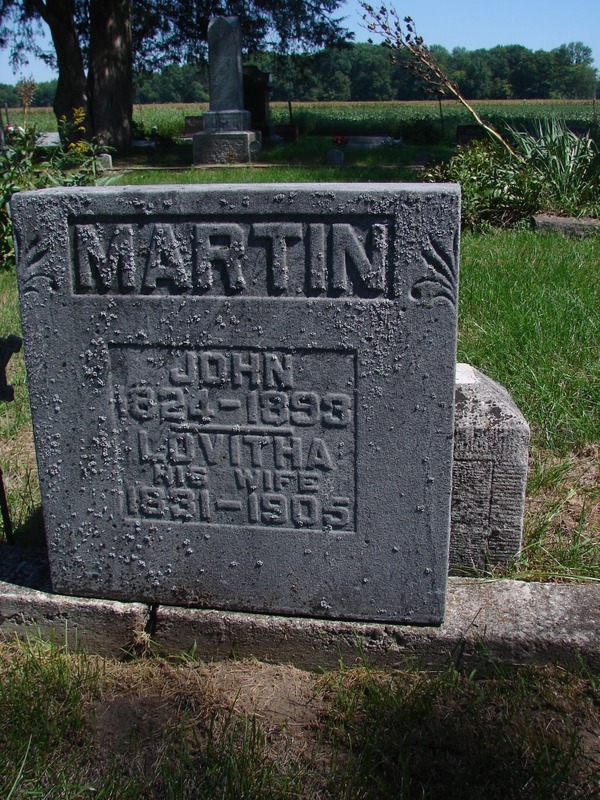 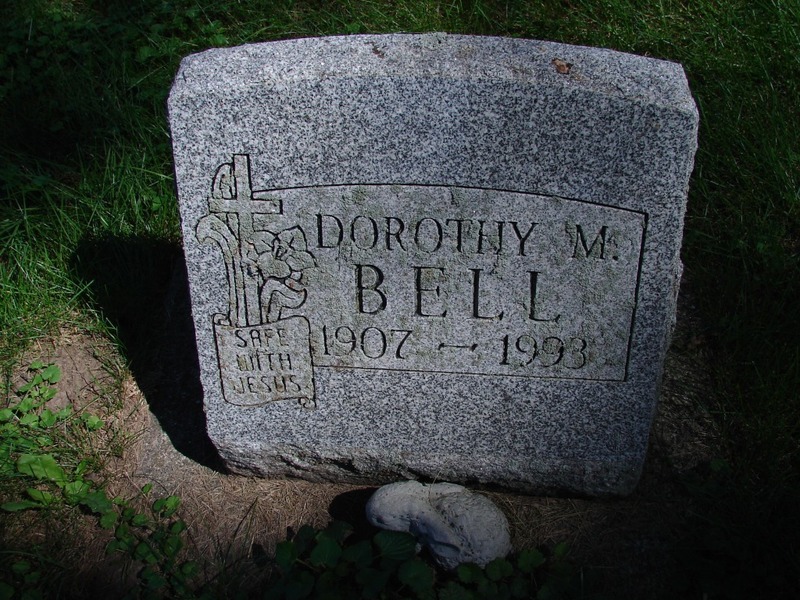 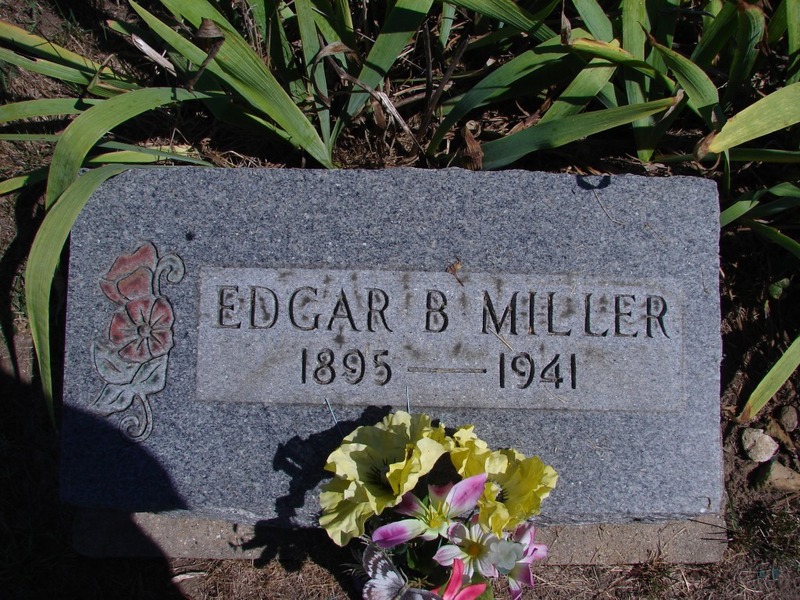 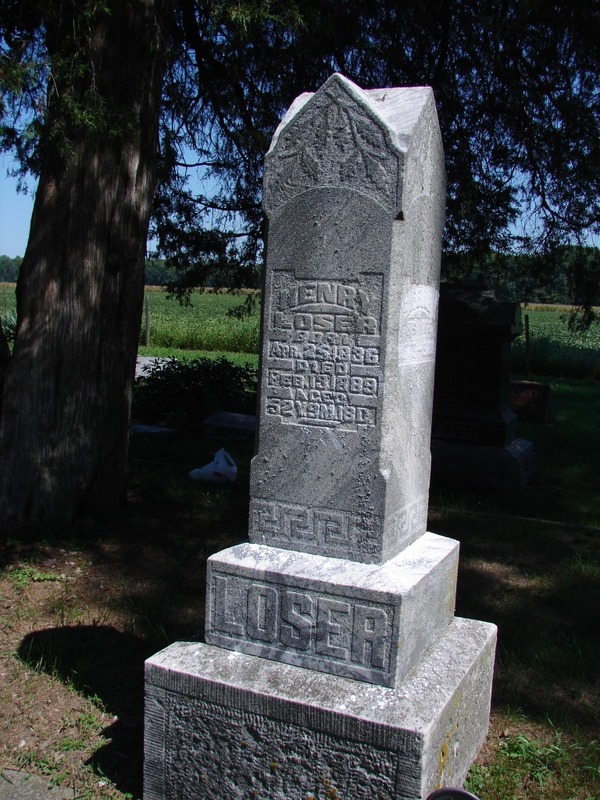 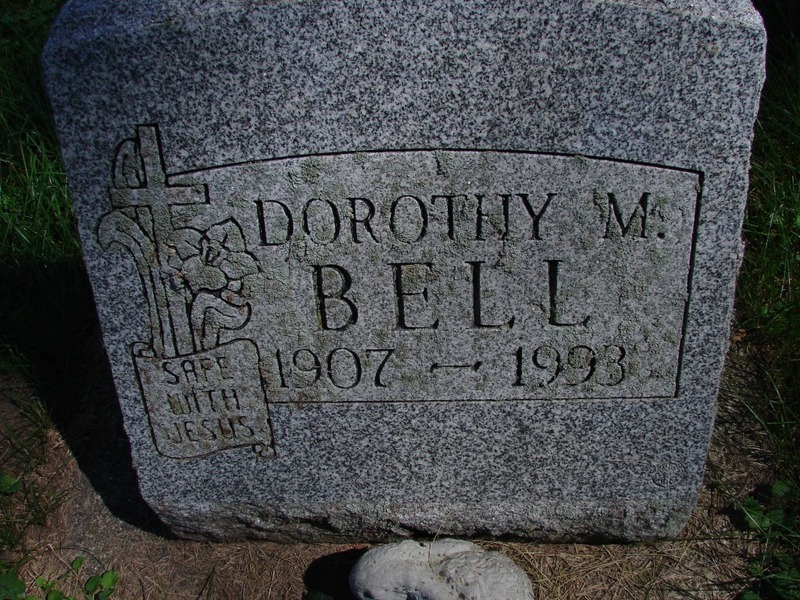 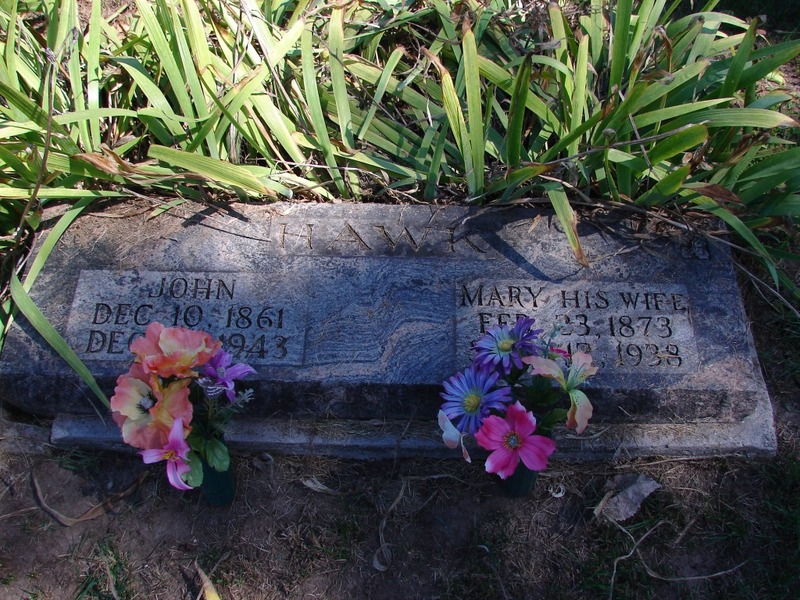 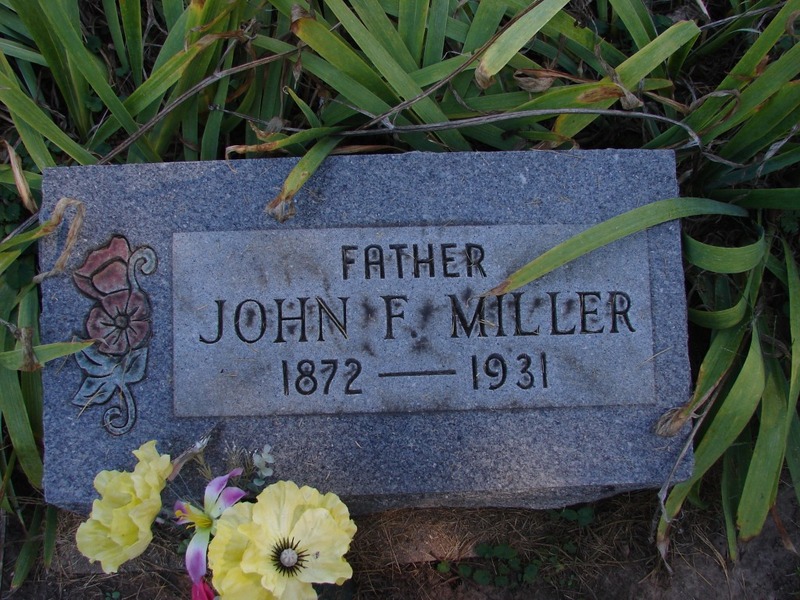 LOSER Emma R. 20 Sep 1873 10 Mar 1879 5 d/o H.& I.
MILLER Edith B. 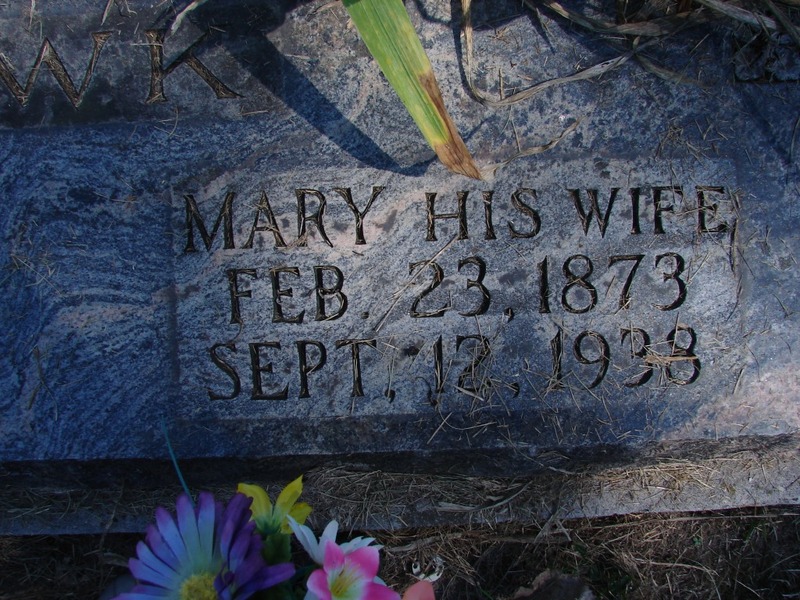 8 Apr 1892 30 Apr 1898 6 d/o C.H.& C.M. 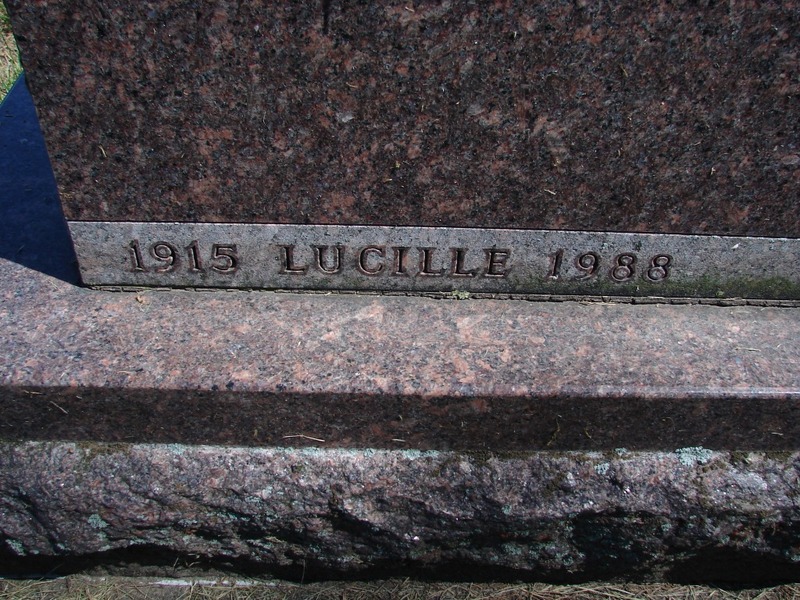 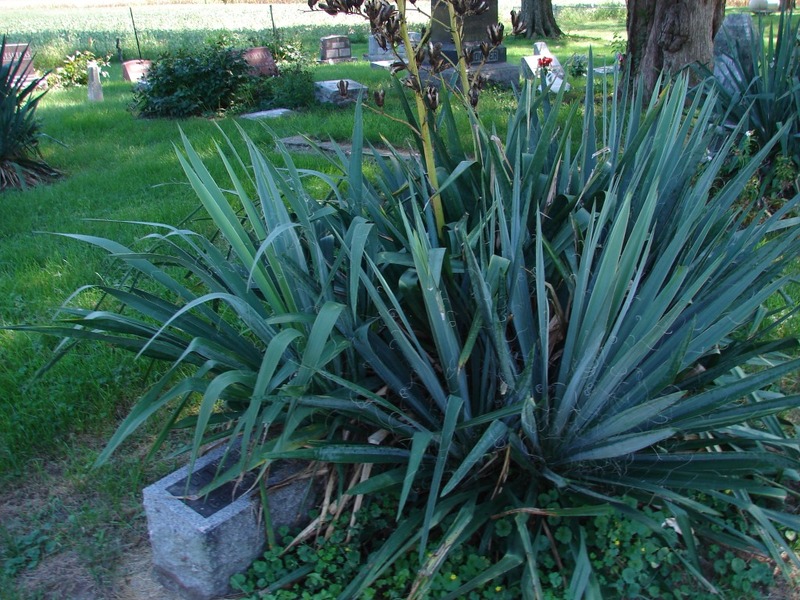 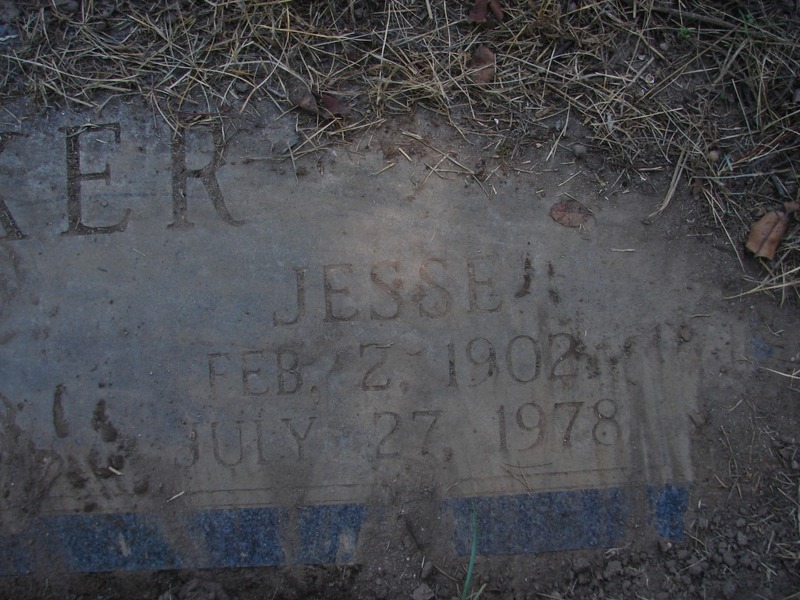 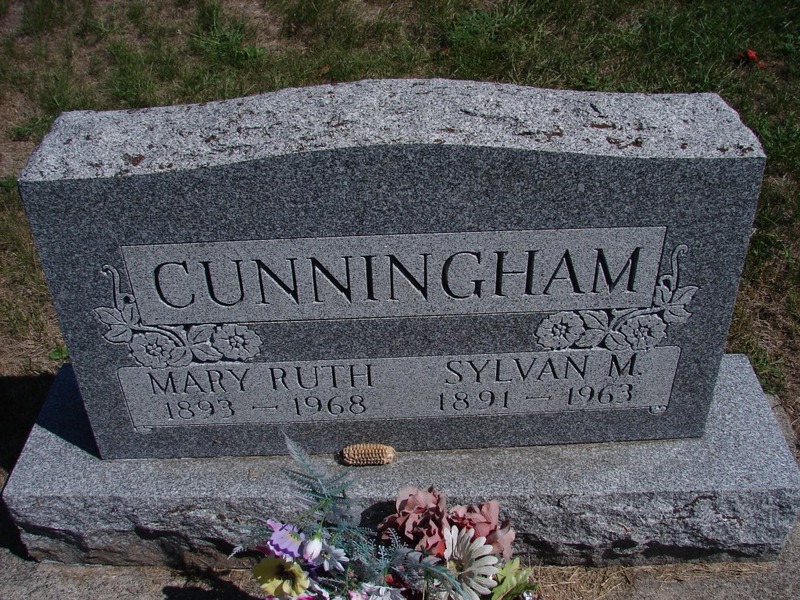 Contributers to this data include Sadie Cunningham - data entry of L'Anguille Valley Memorial Association Report, Carlissa and Brian Knight - reading of stones, and Cheryl Renee Houin - submissions of data on her family interred in this cemetery. 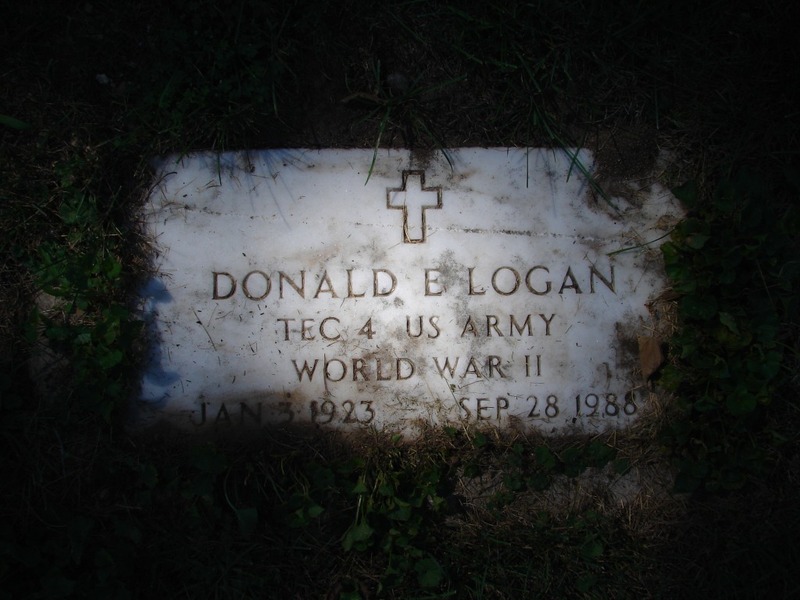 All photographs are copyrighted by and may be used for personal use only.